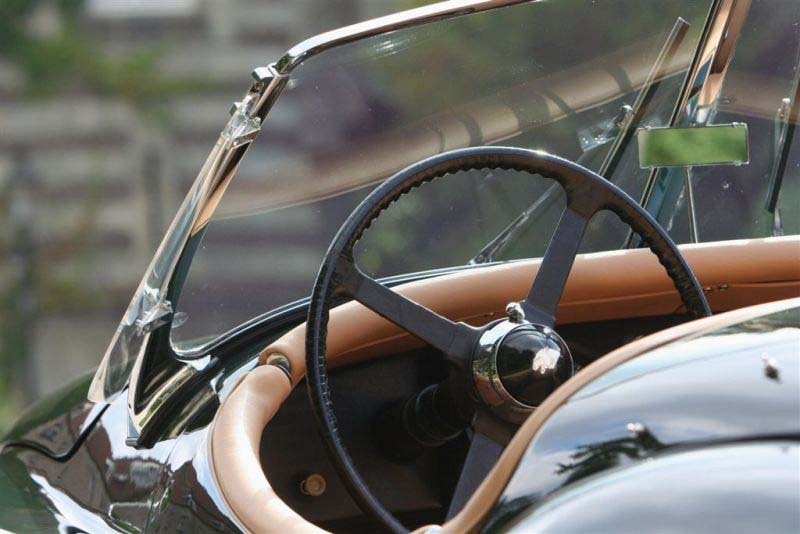 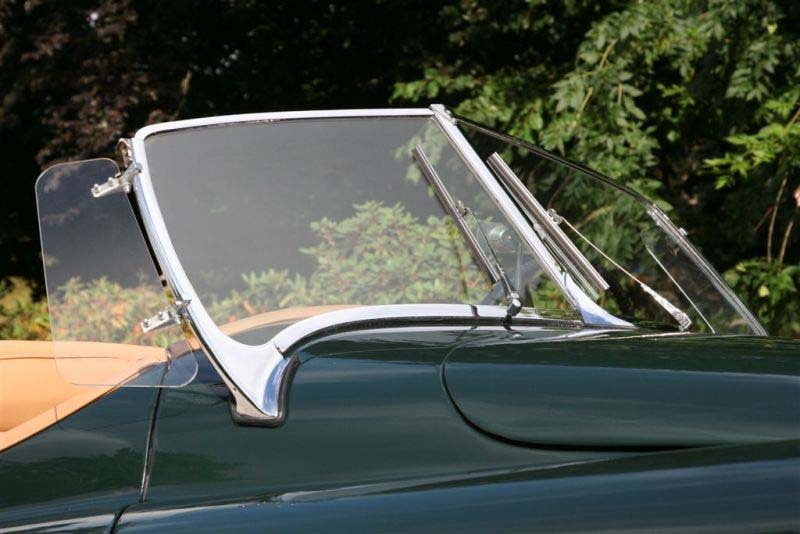 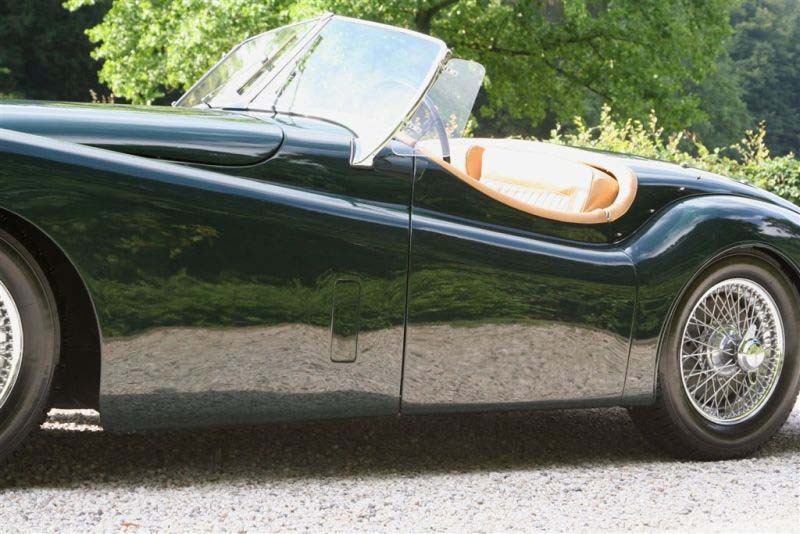 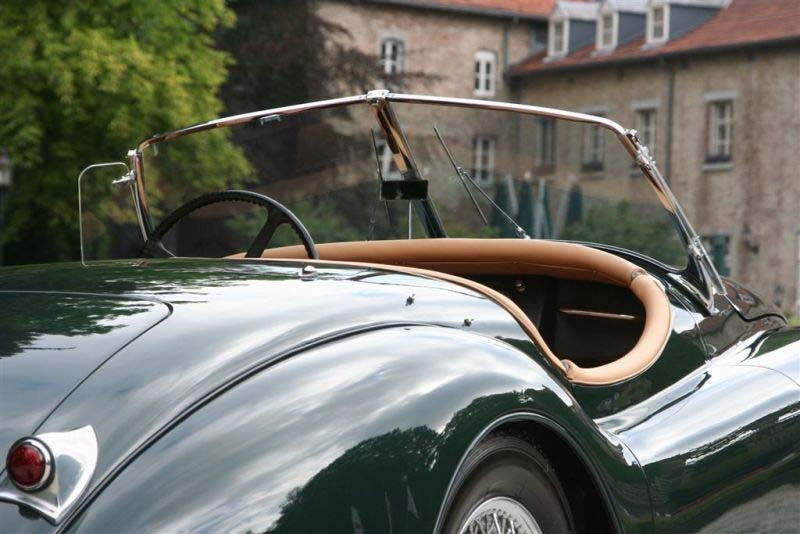 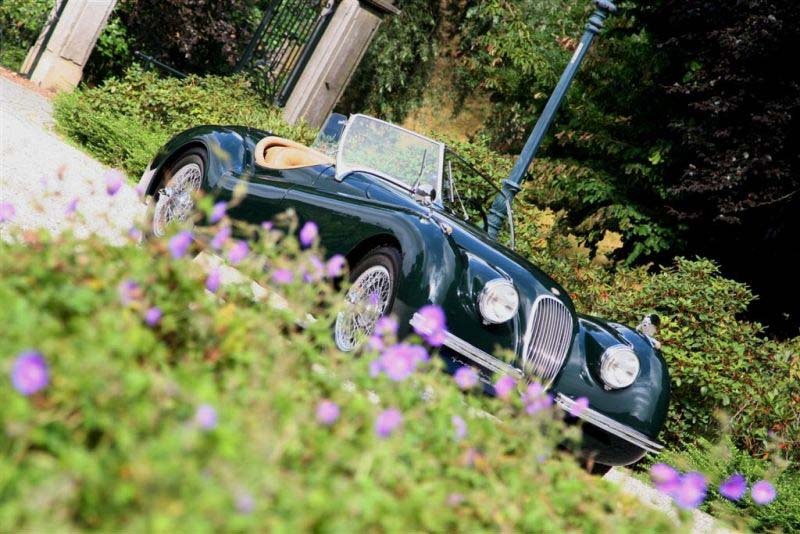 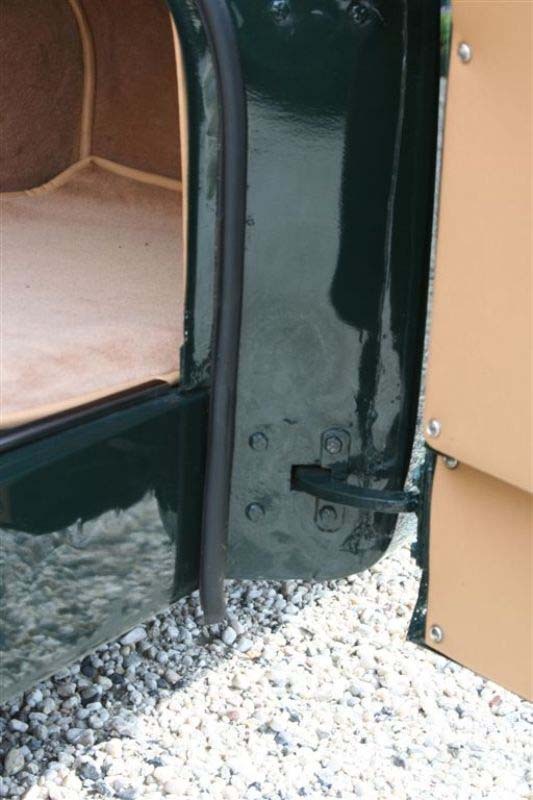 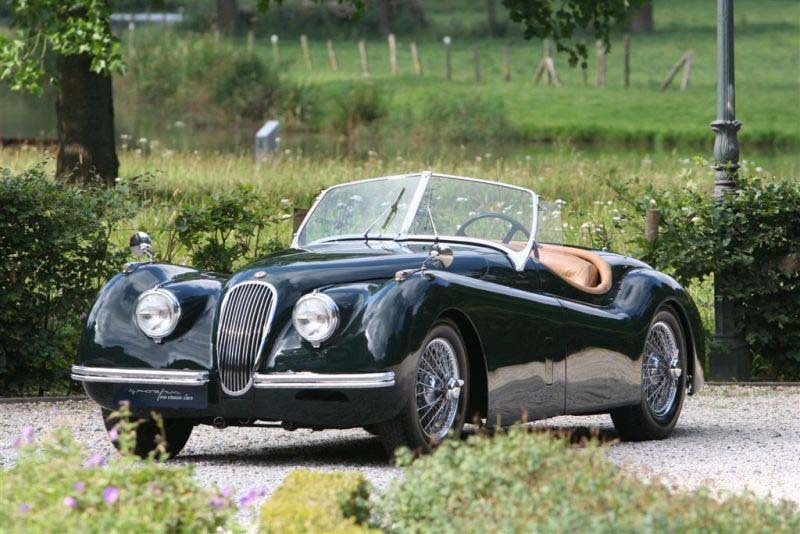 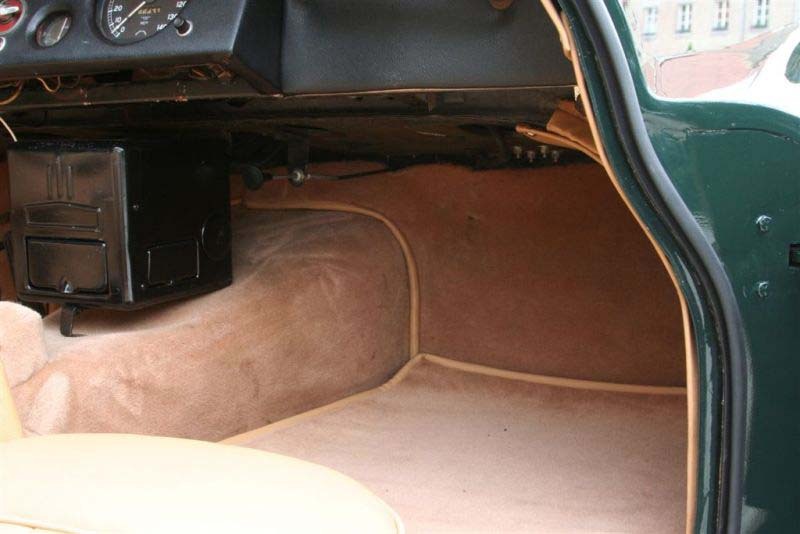 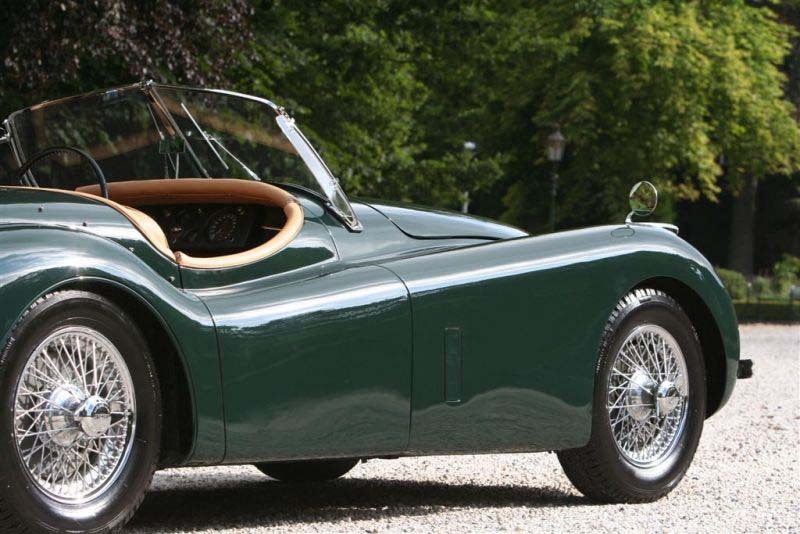 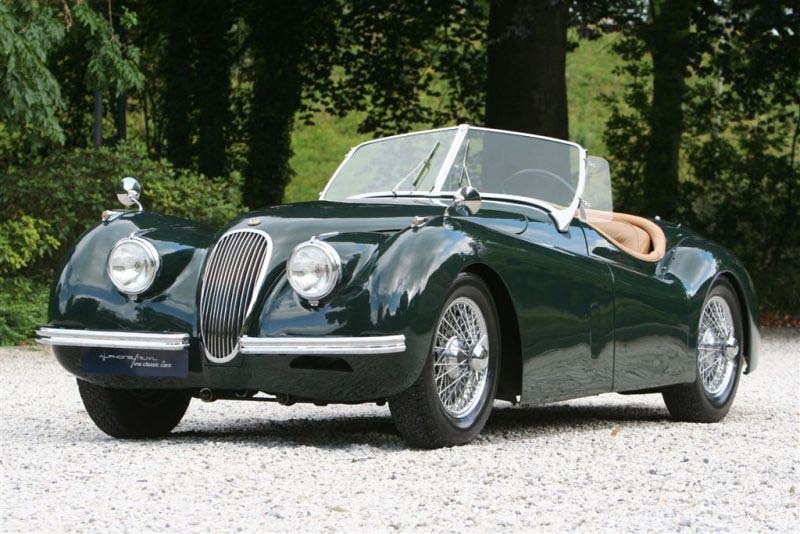 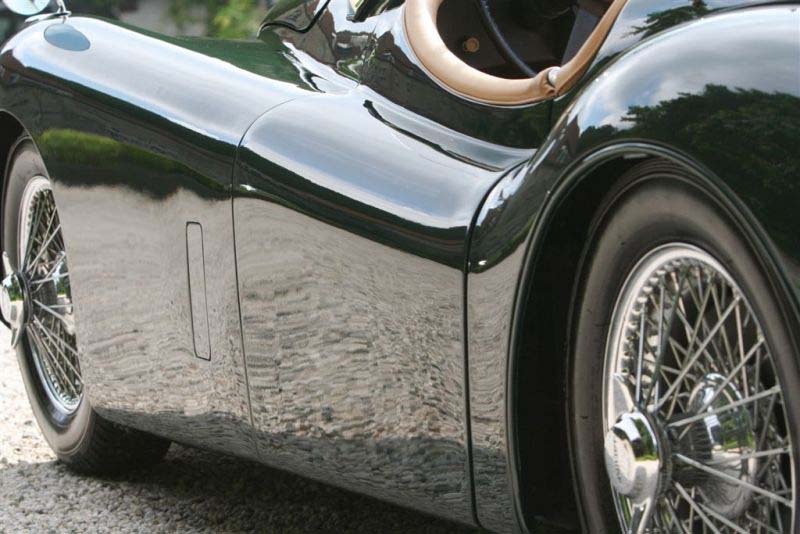 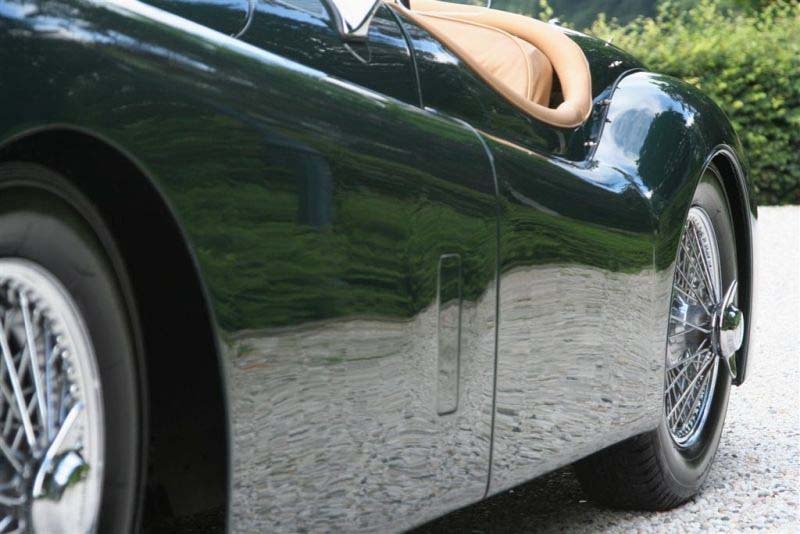 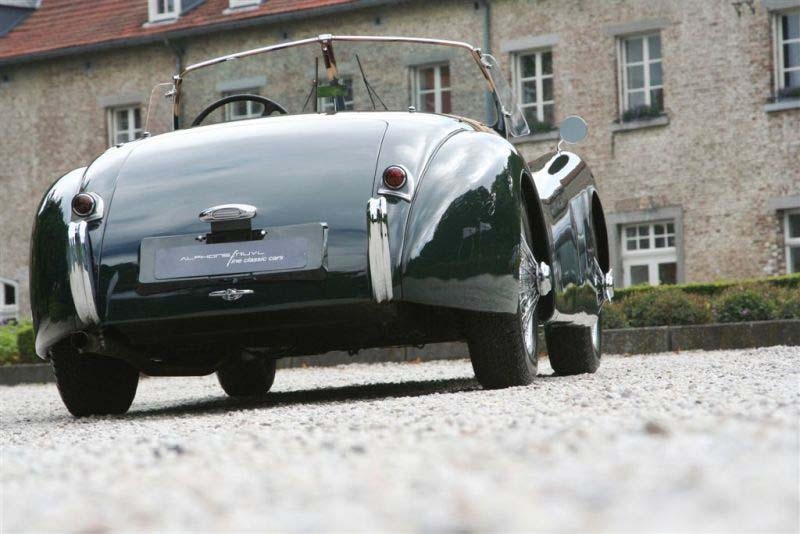 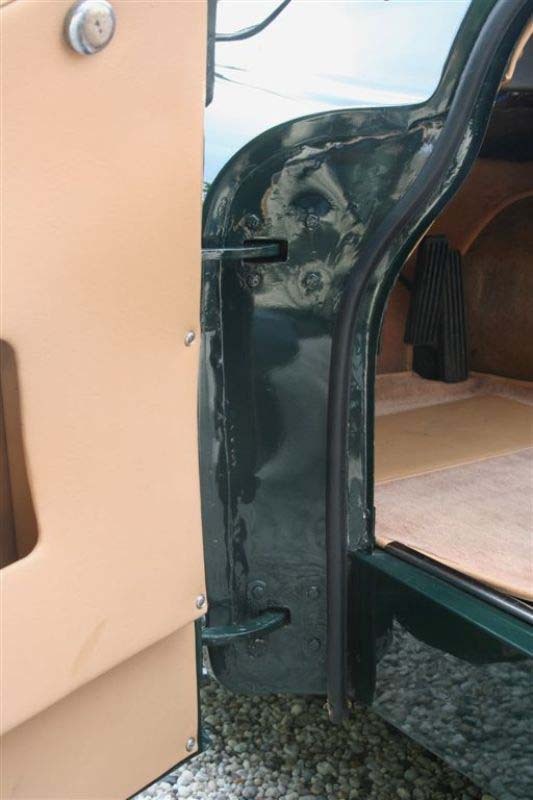 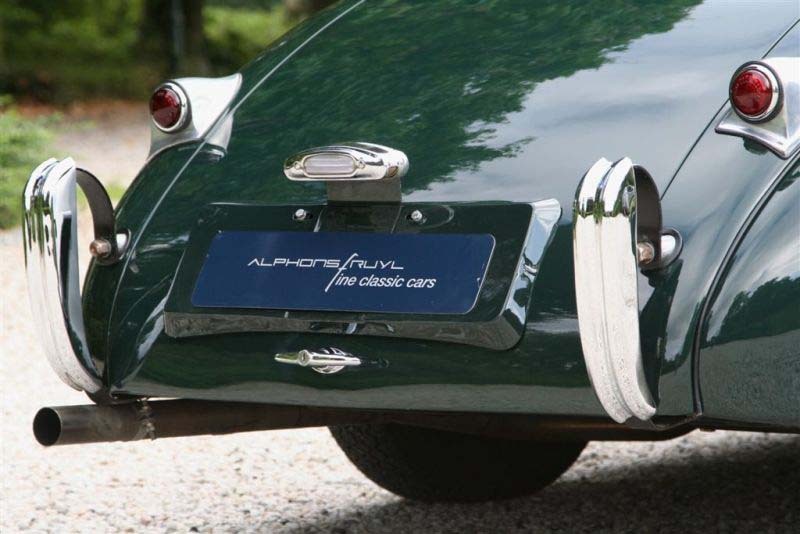 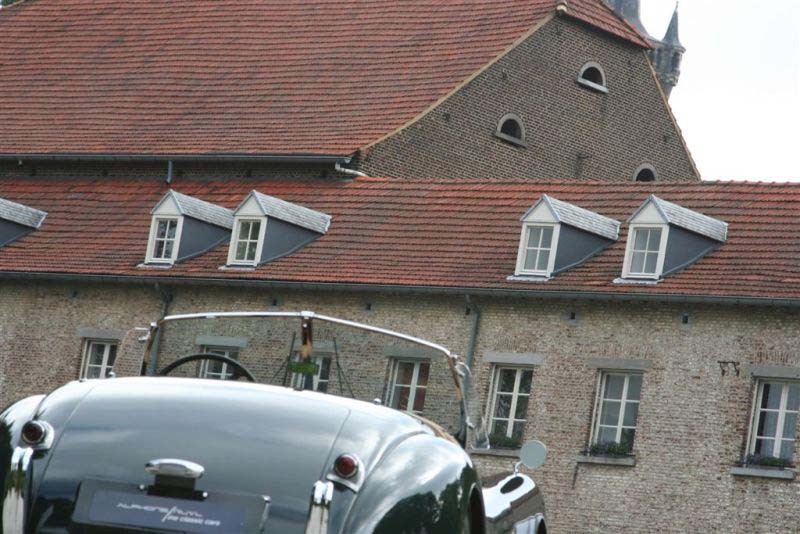 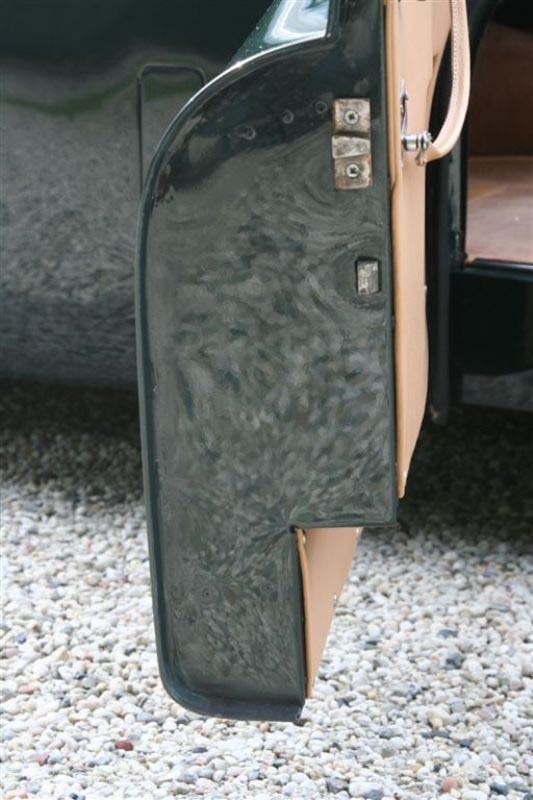 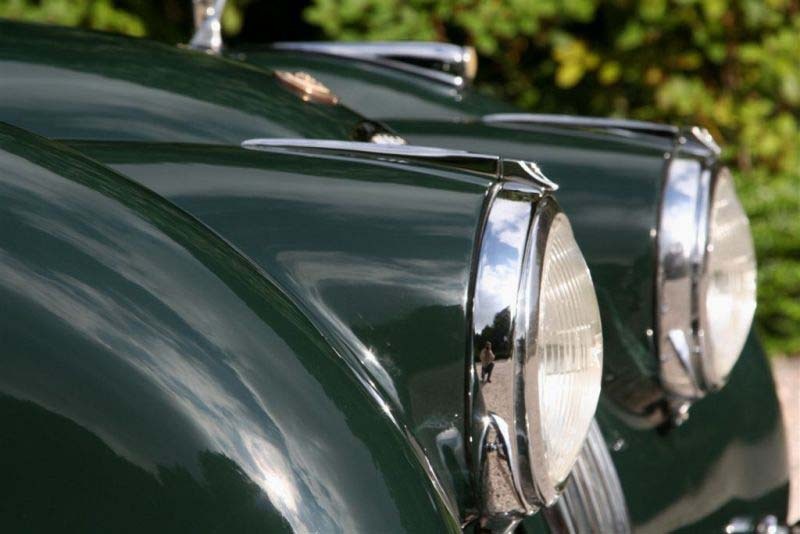 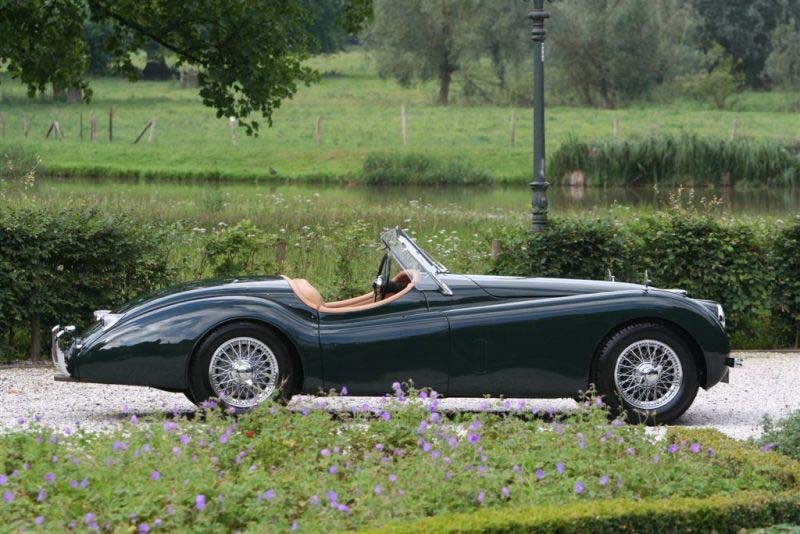 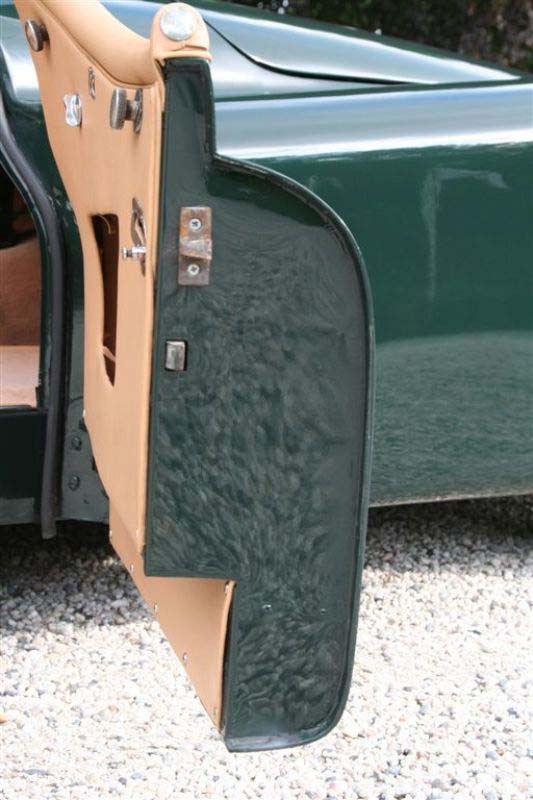 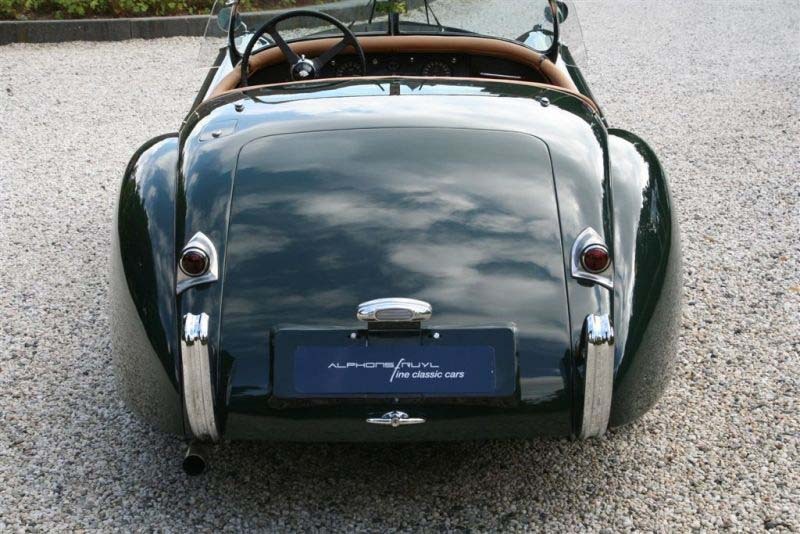 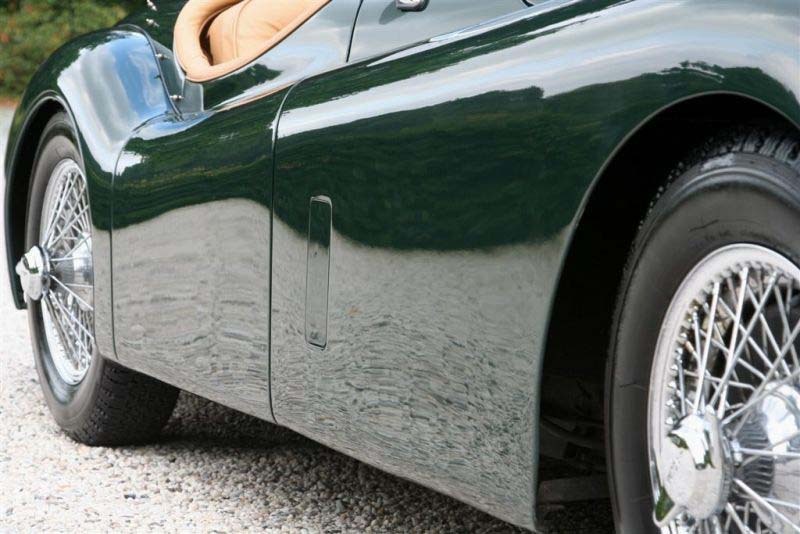 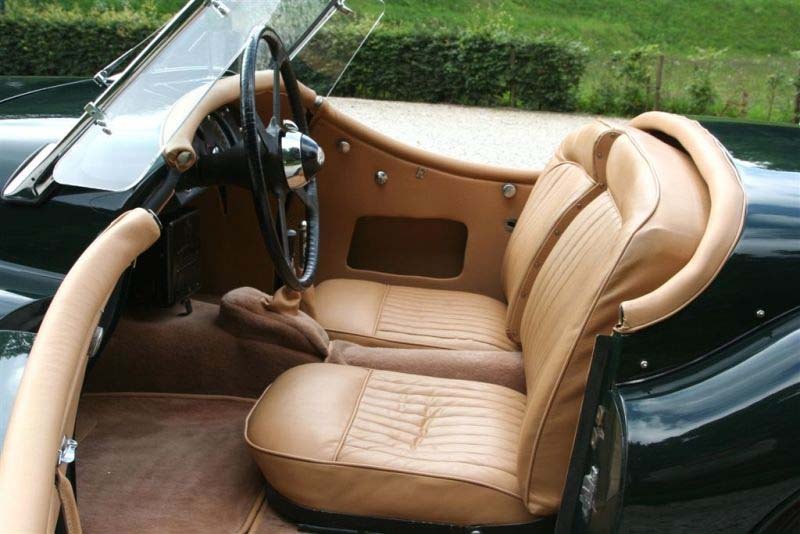 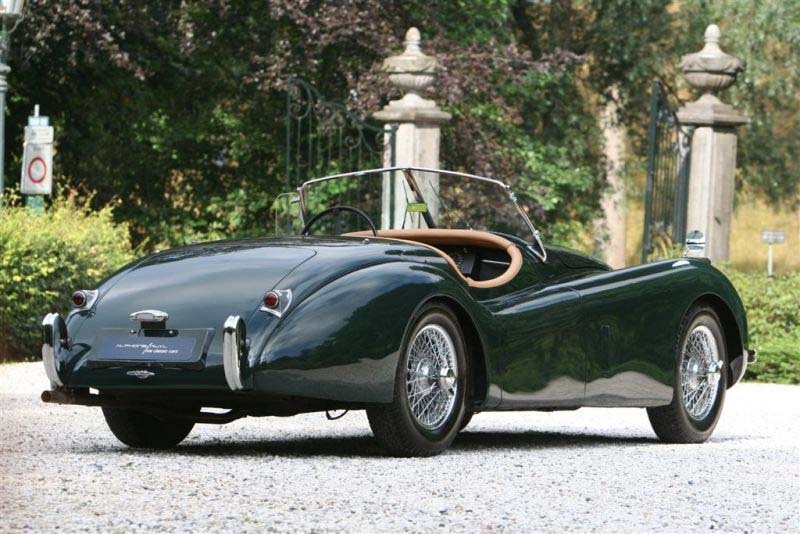 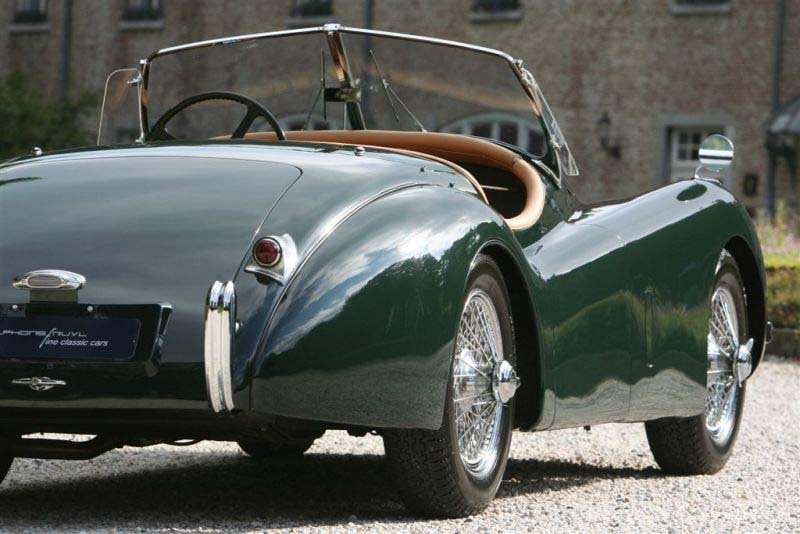 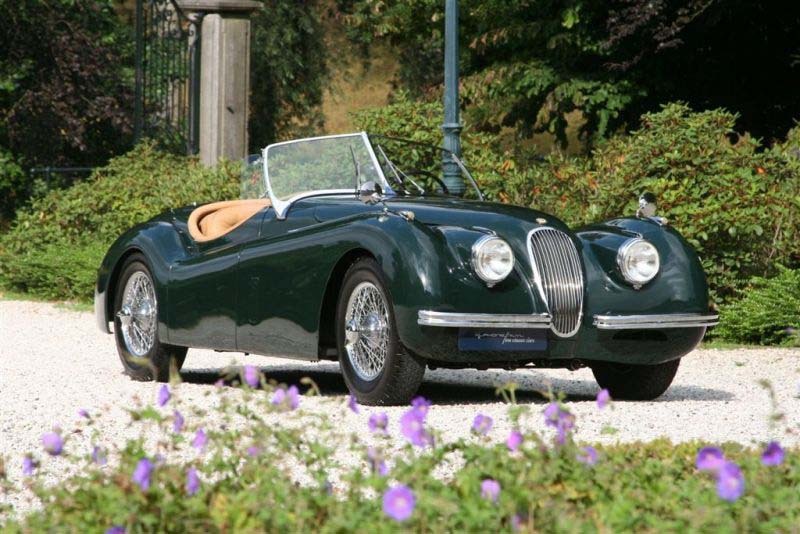 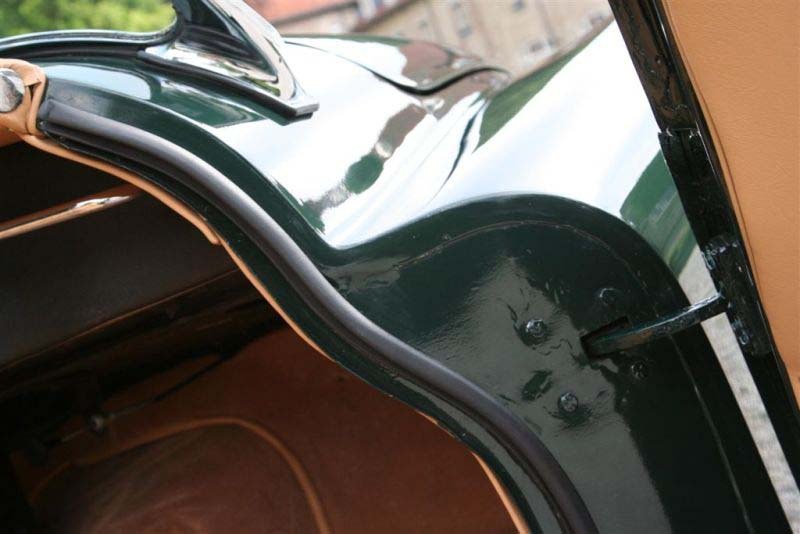 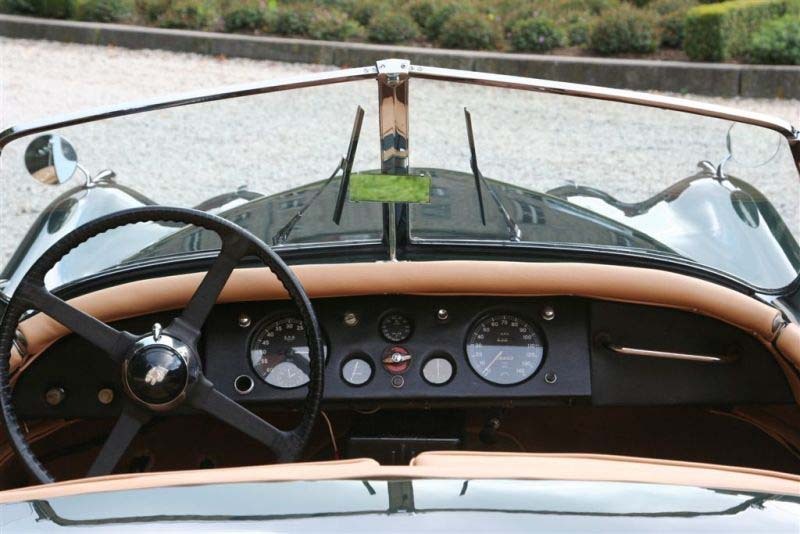 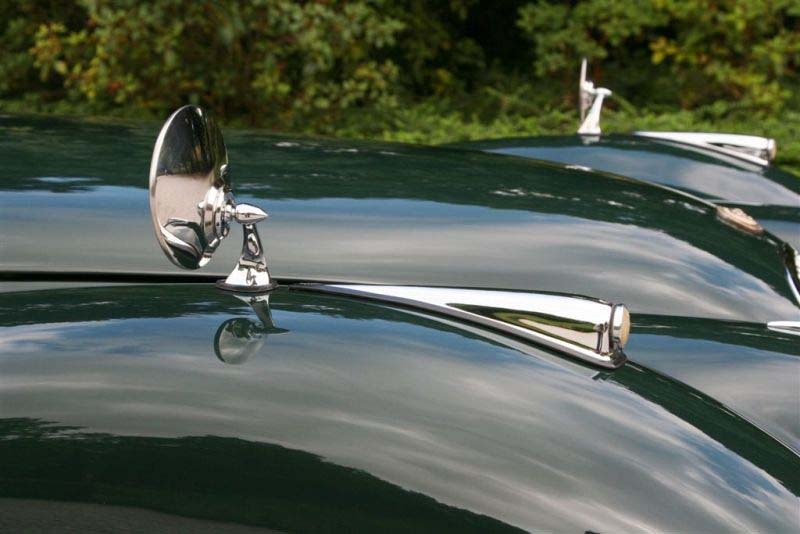 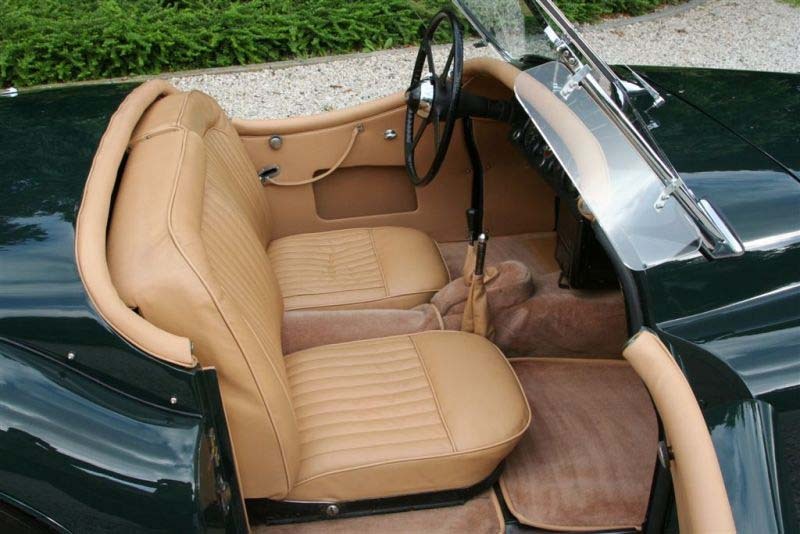 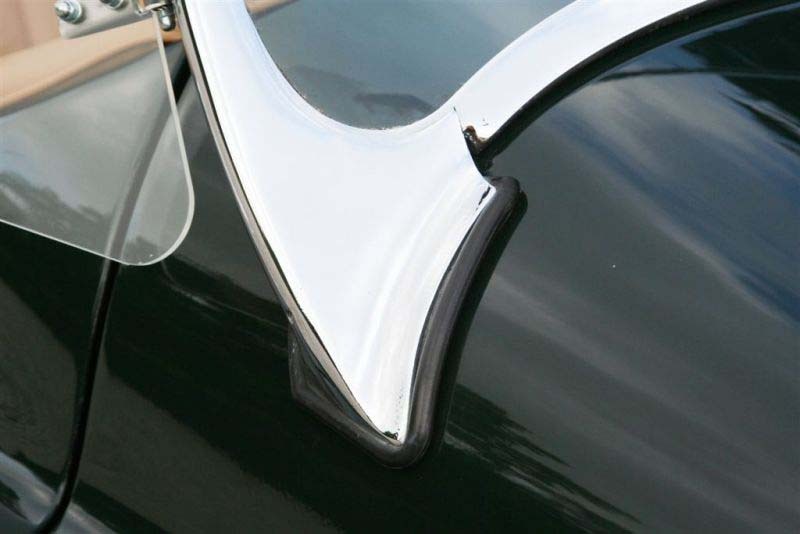 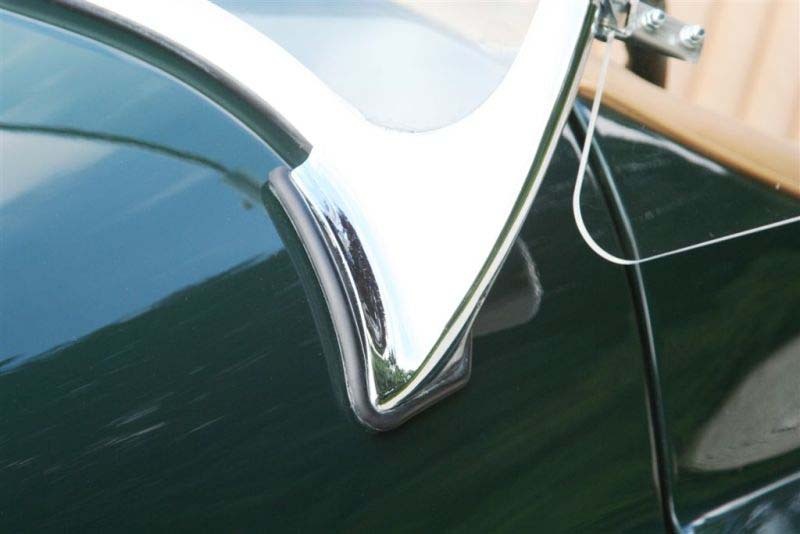 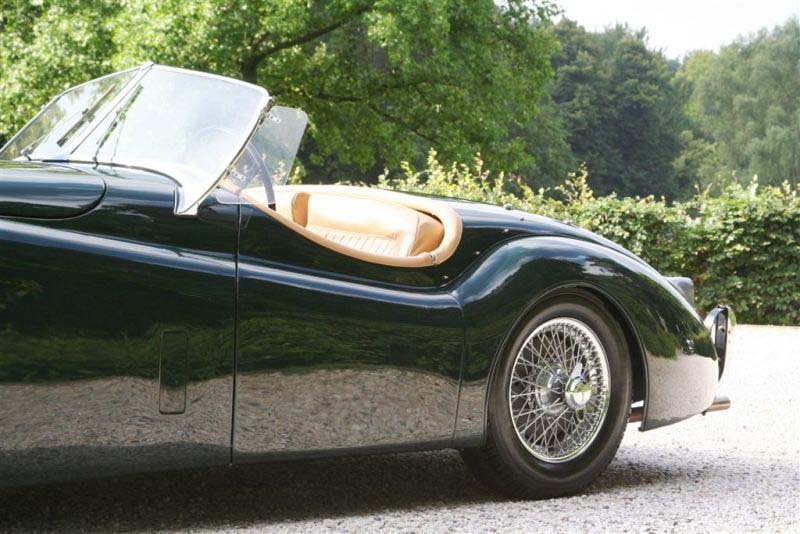 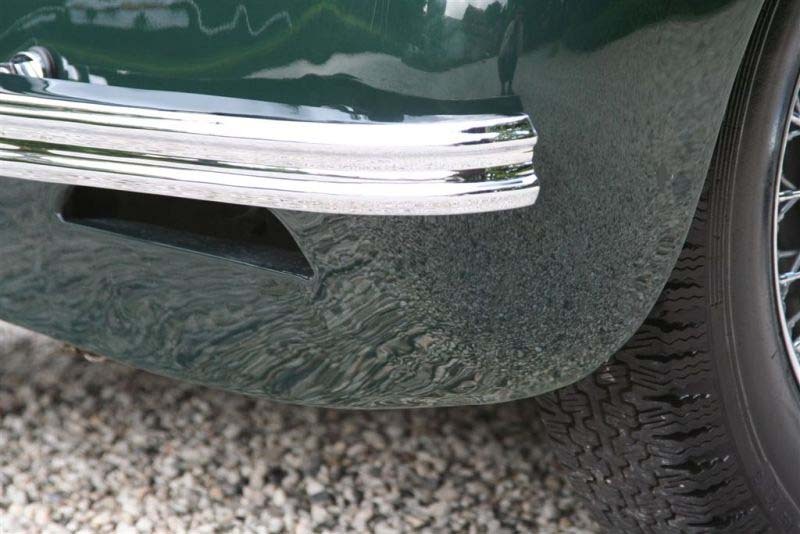 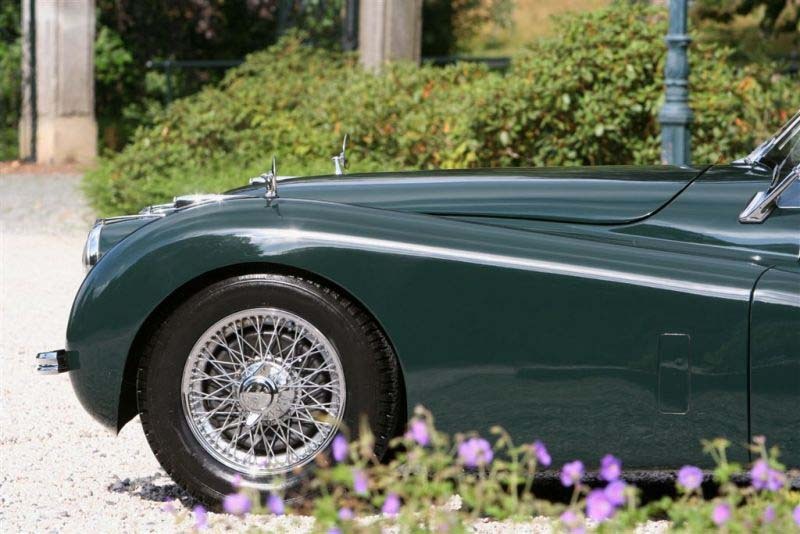 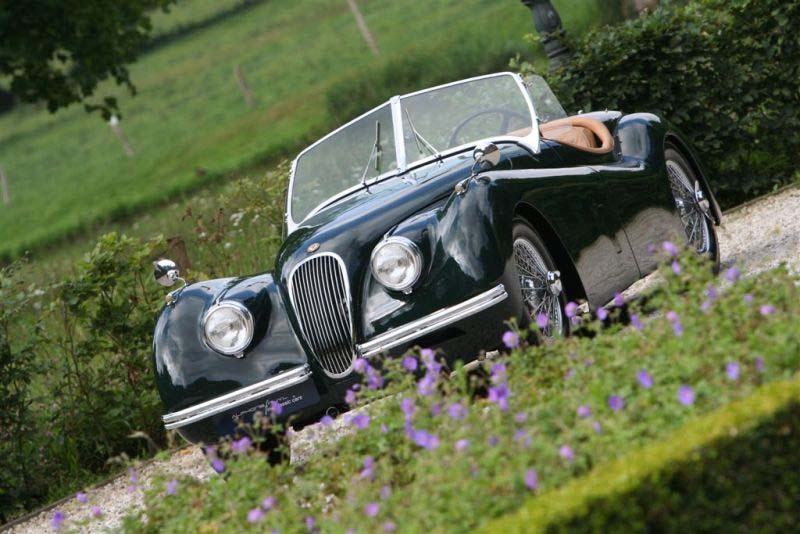 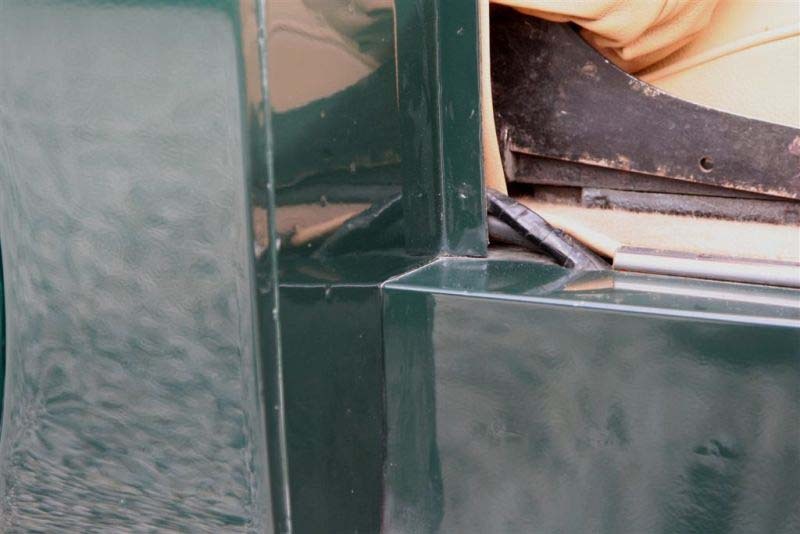 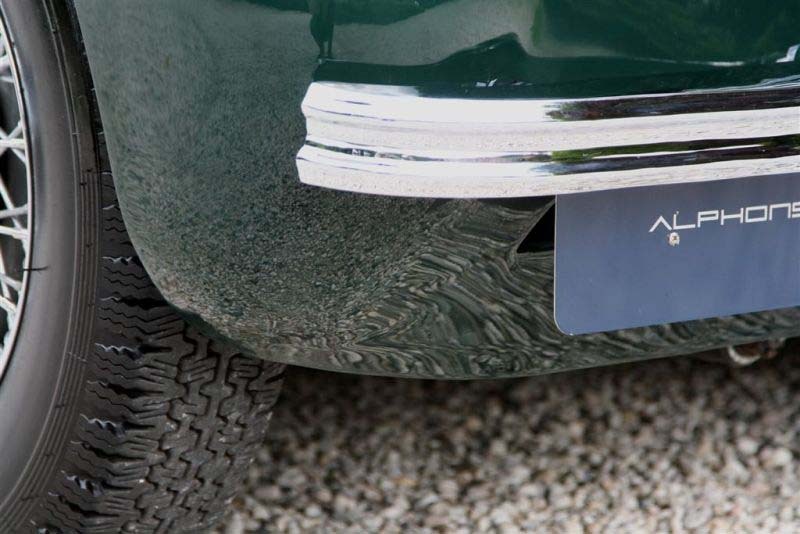 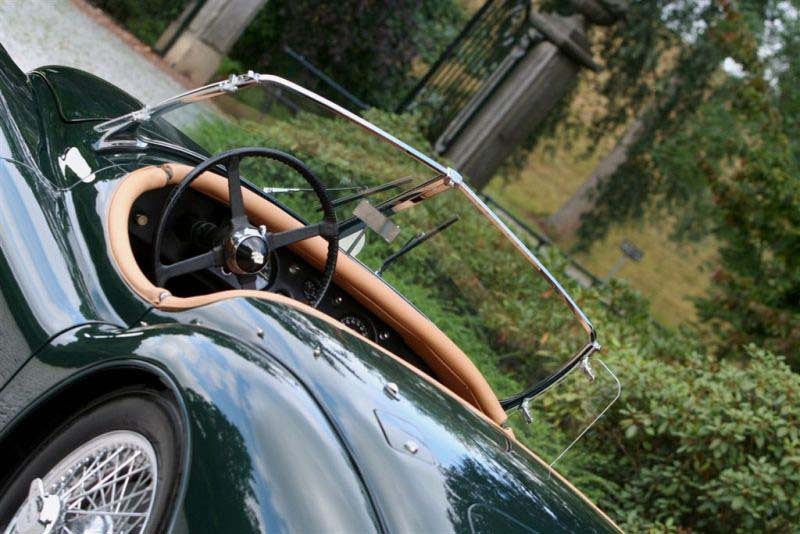 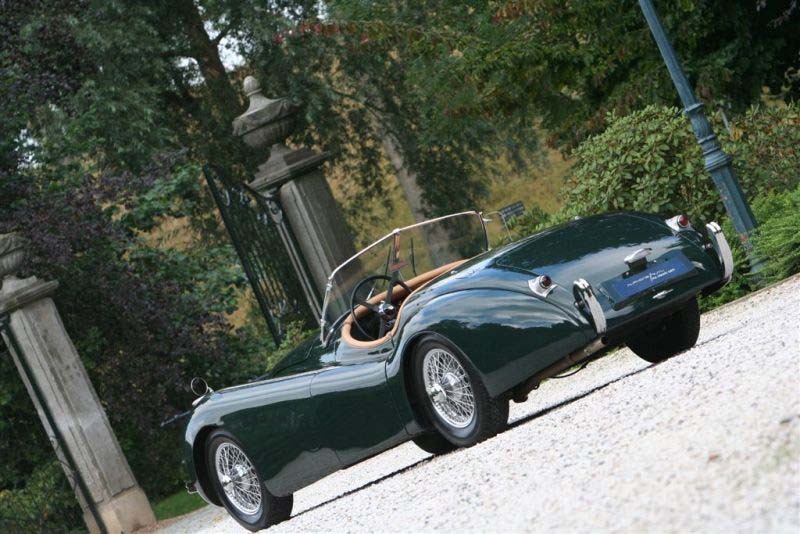 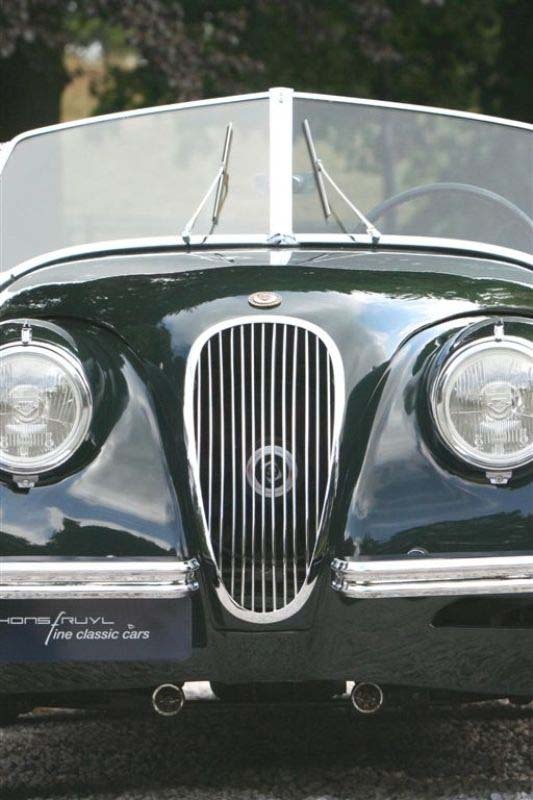 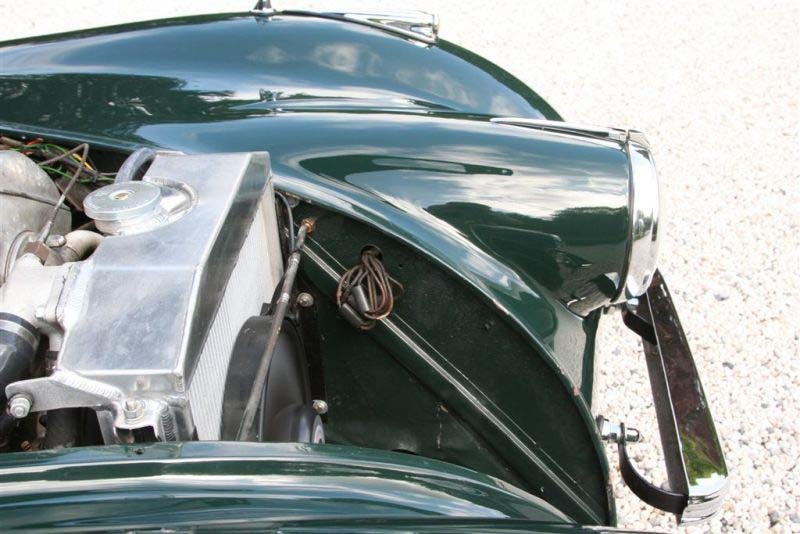 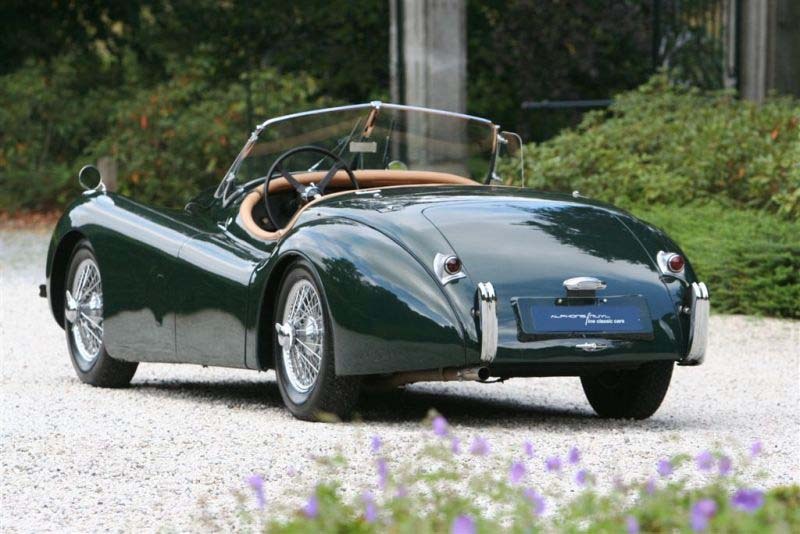 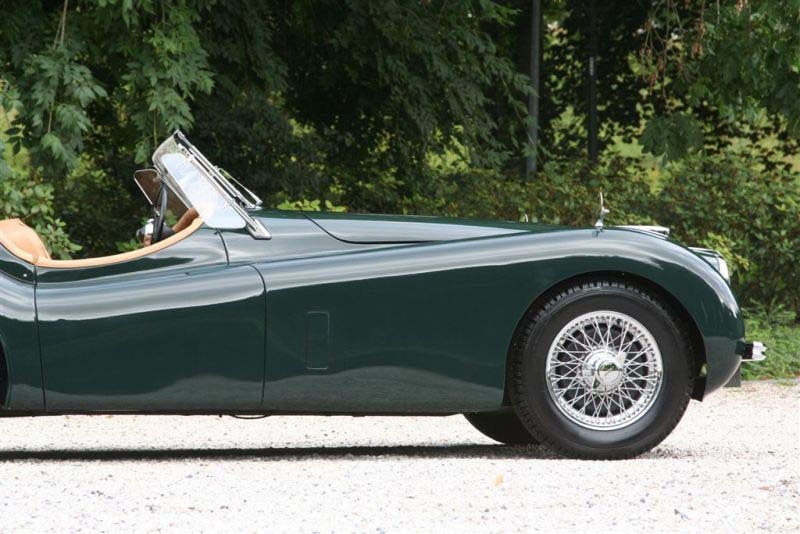 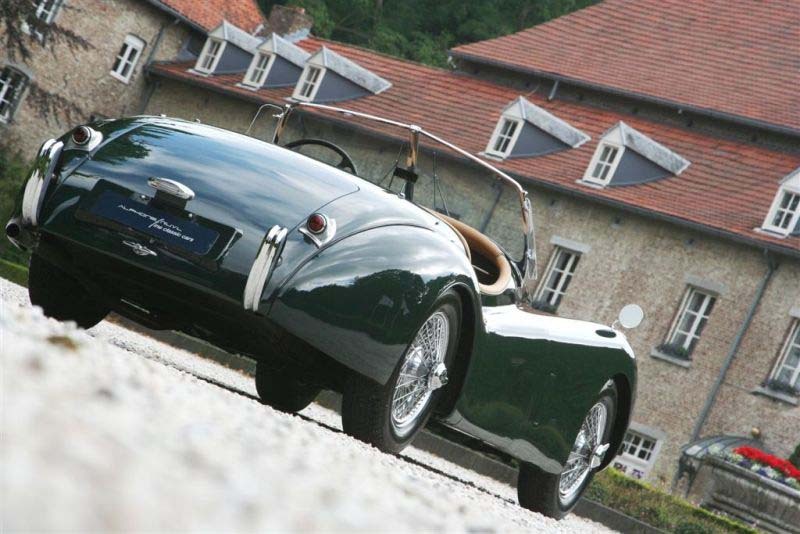 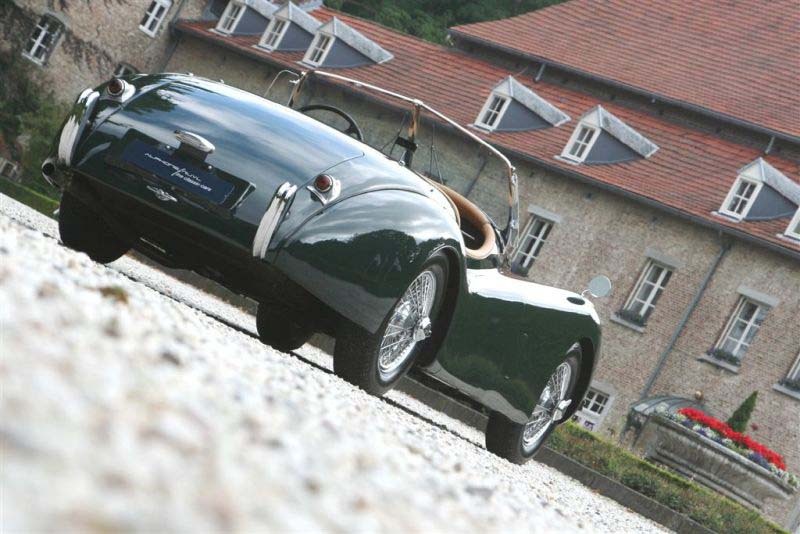 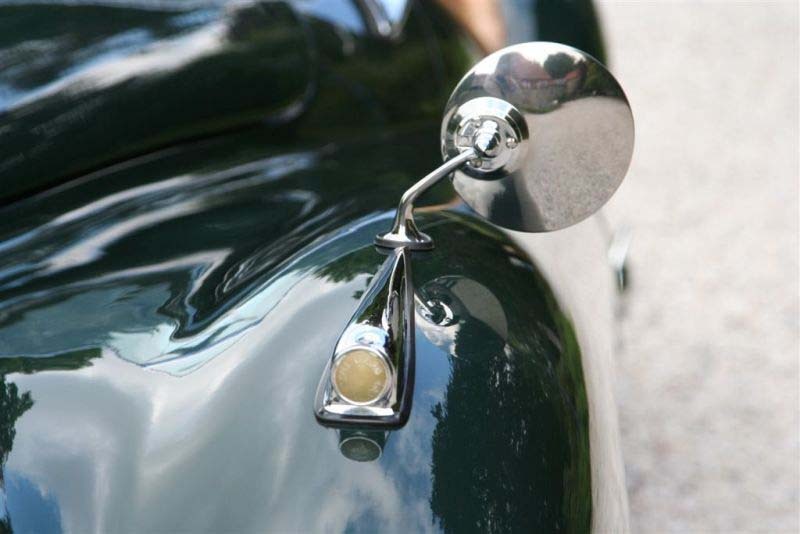 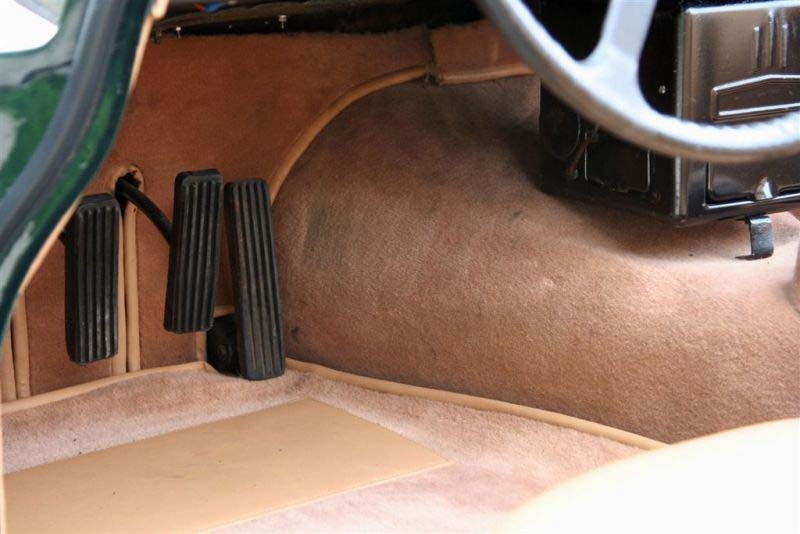 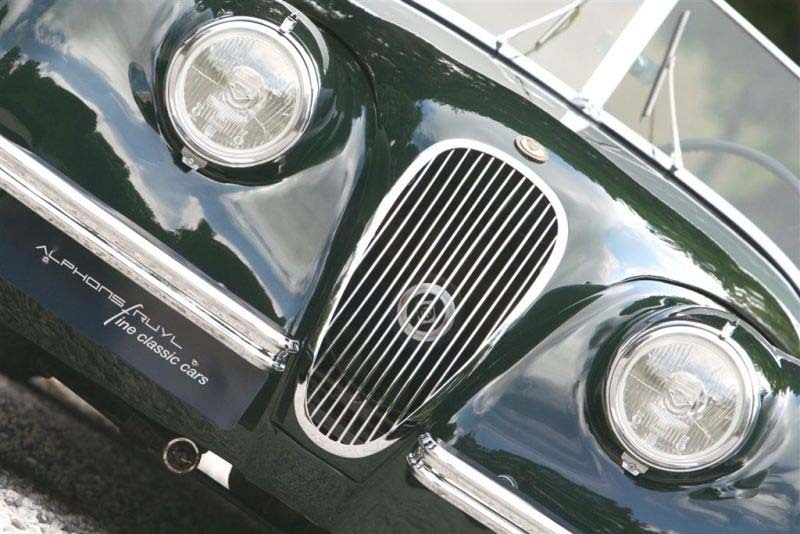 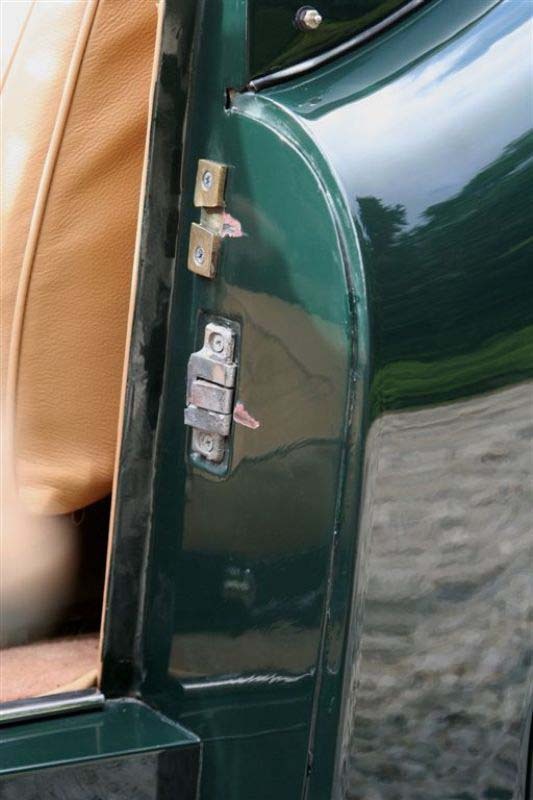 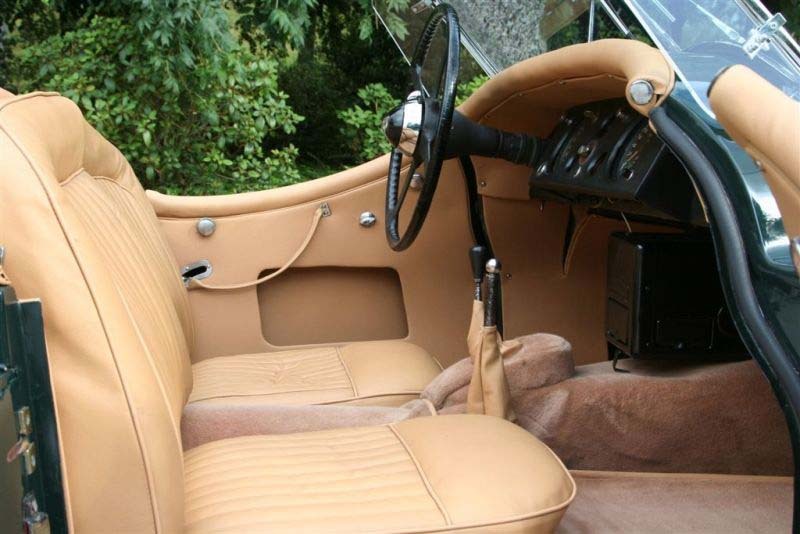 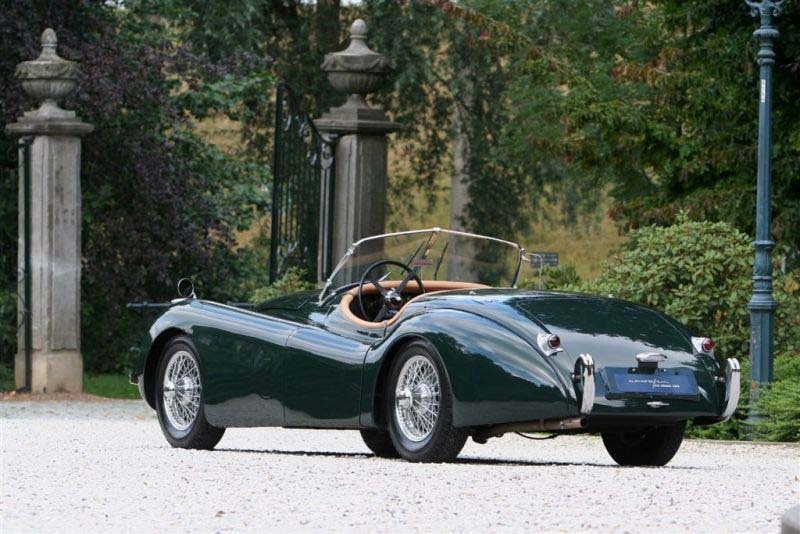 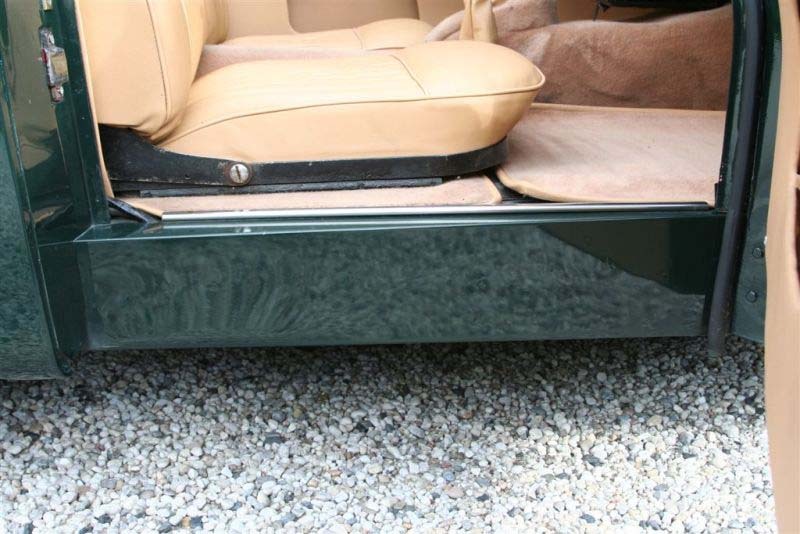 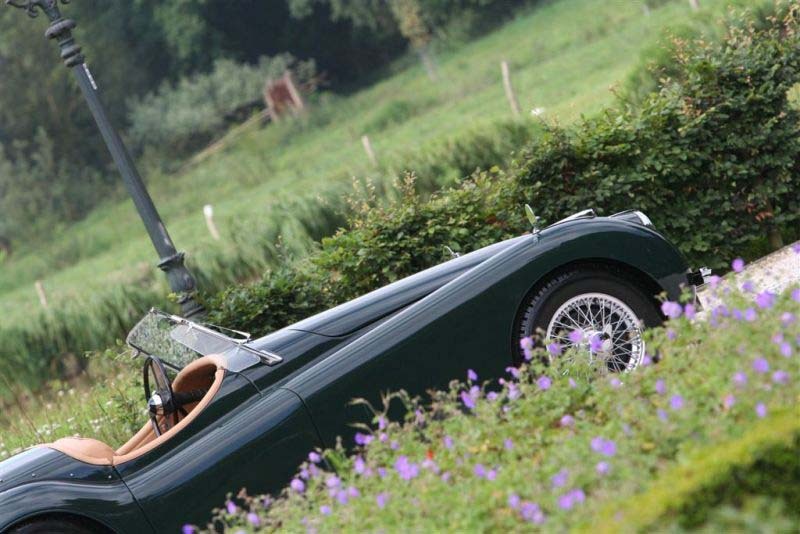 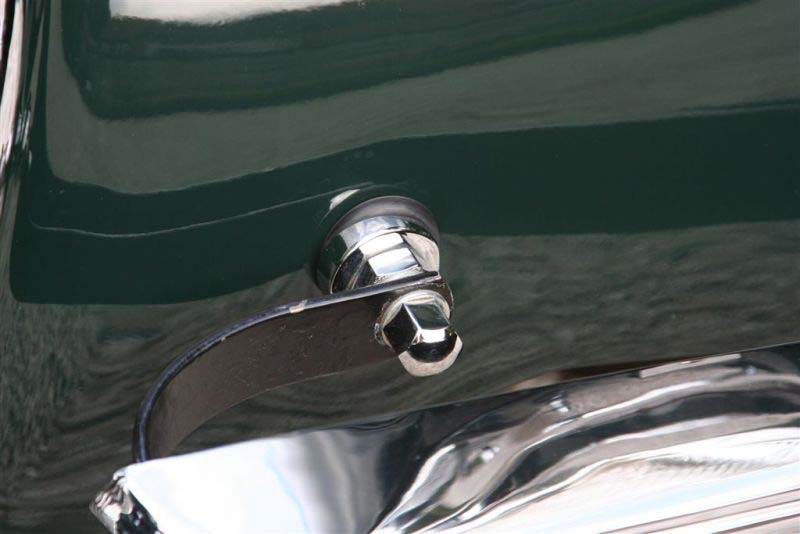 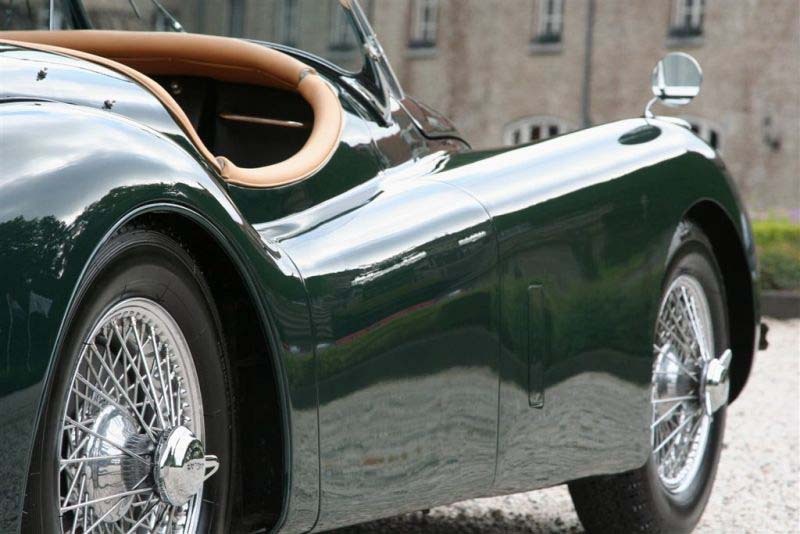 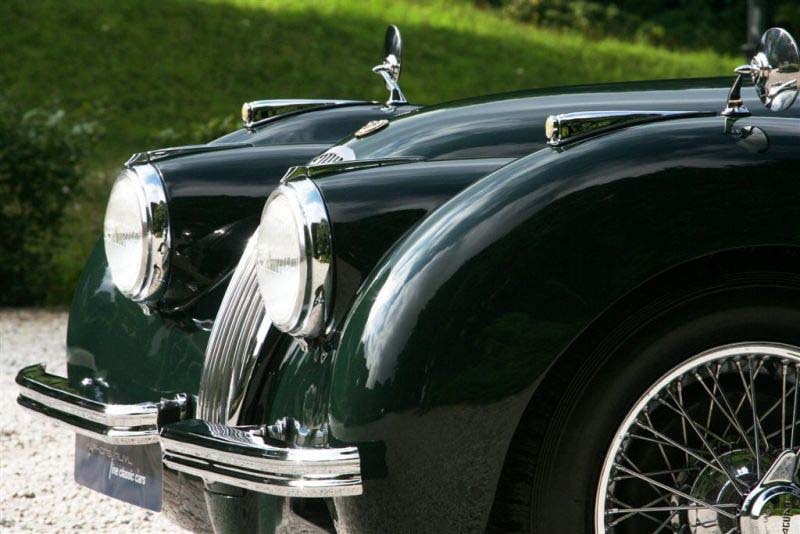 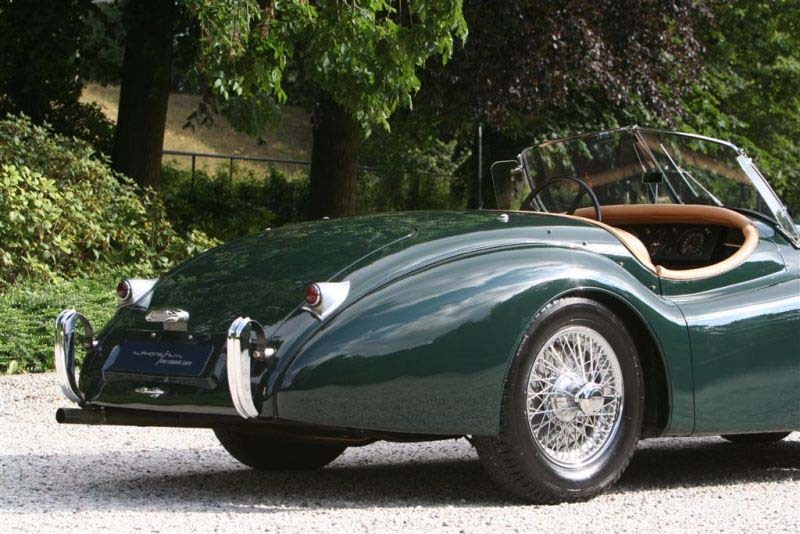 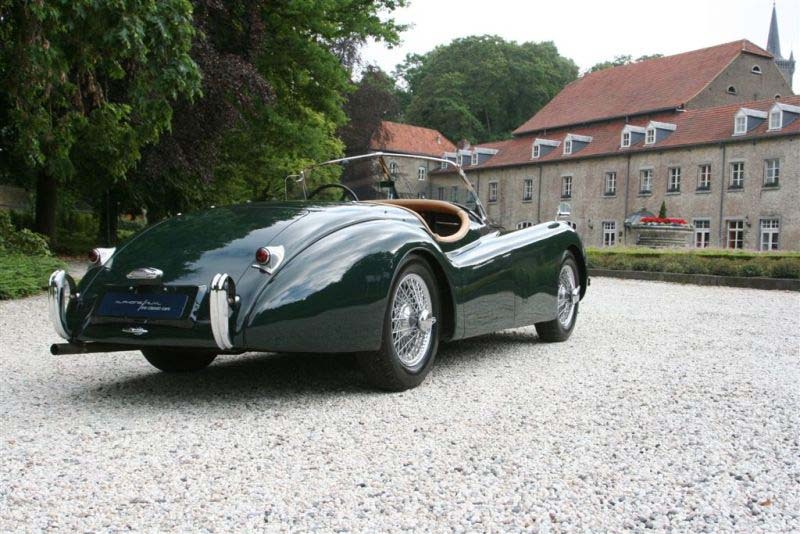 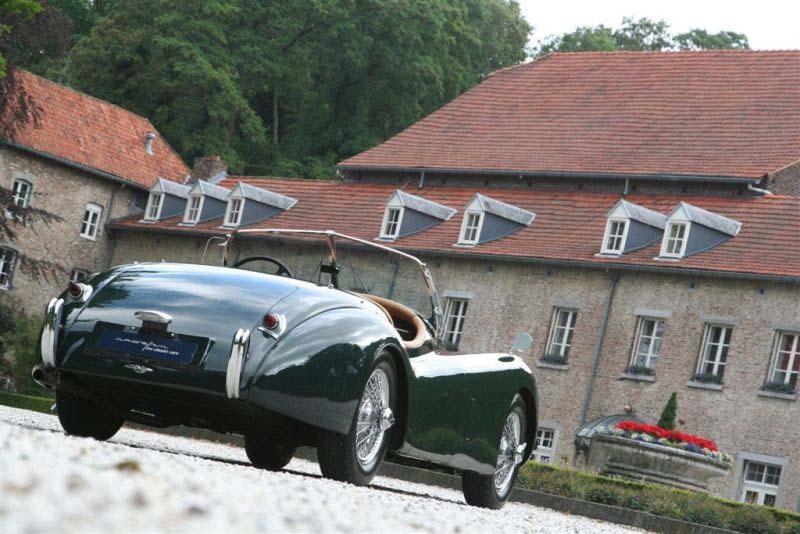 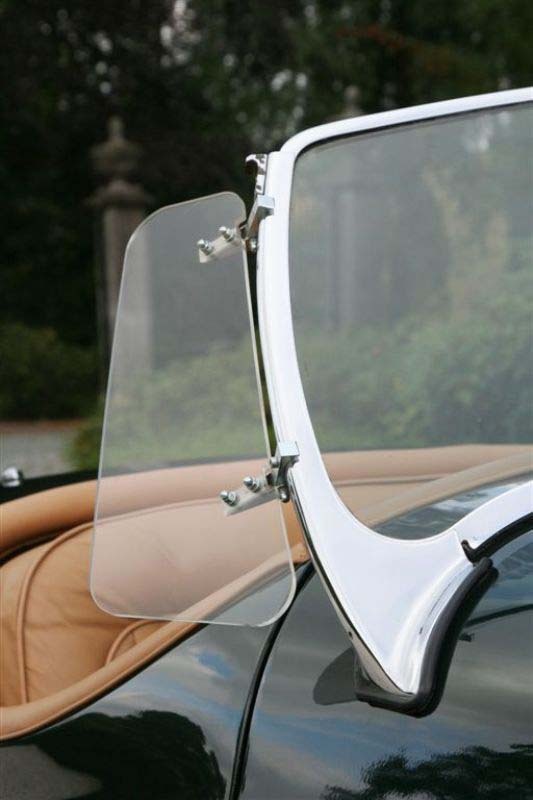 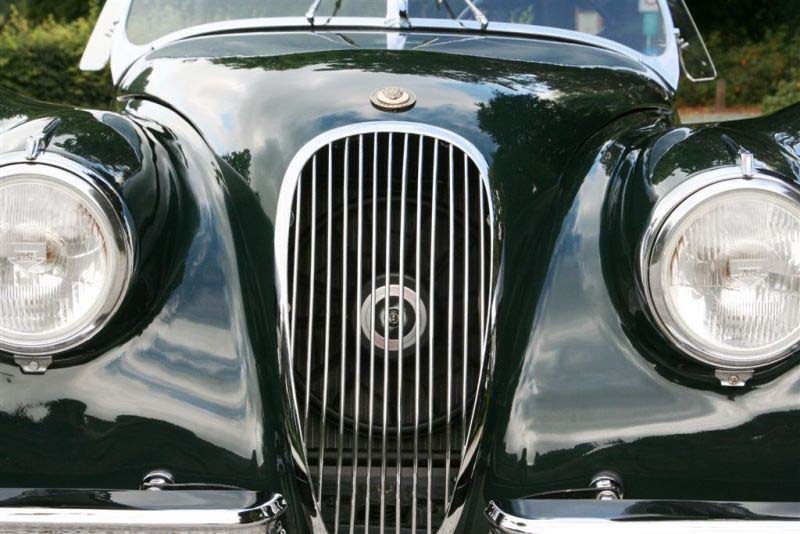 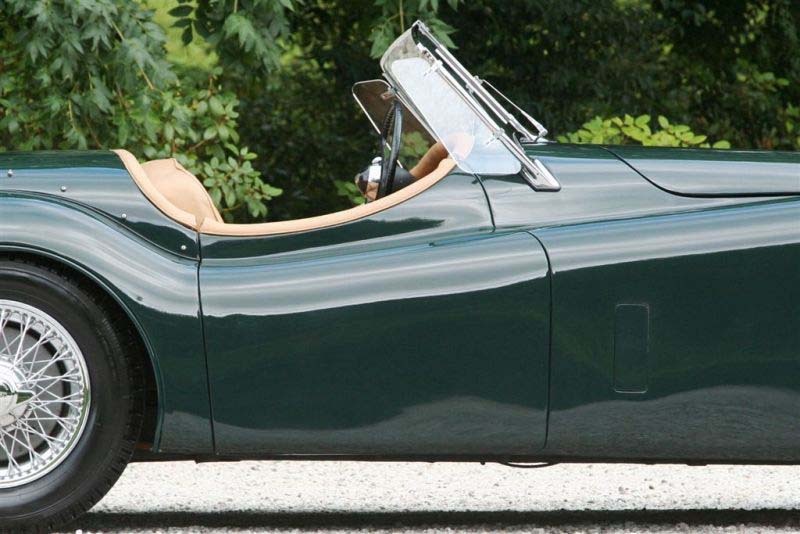 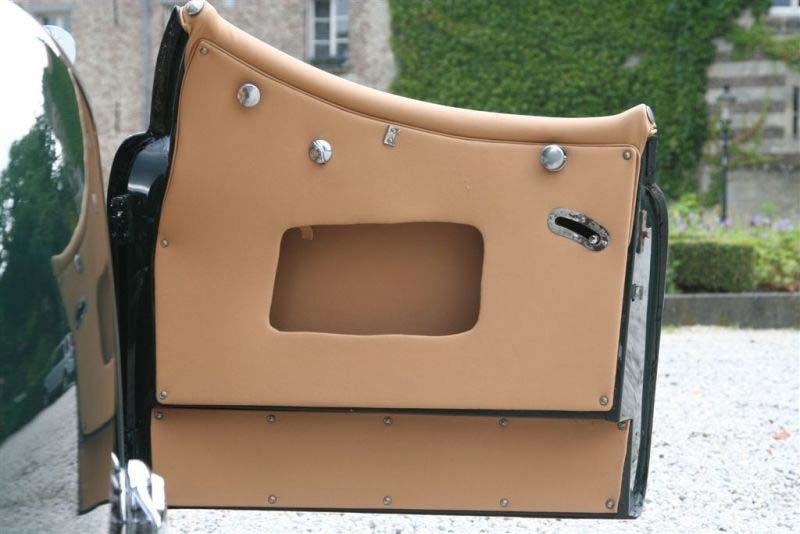 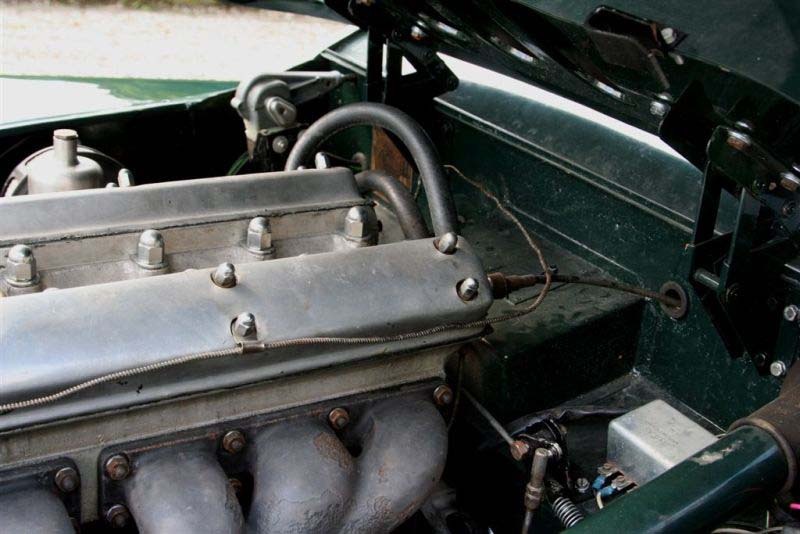 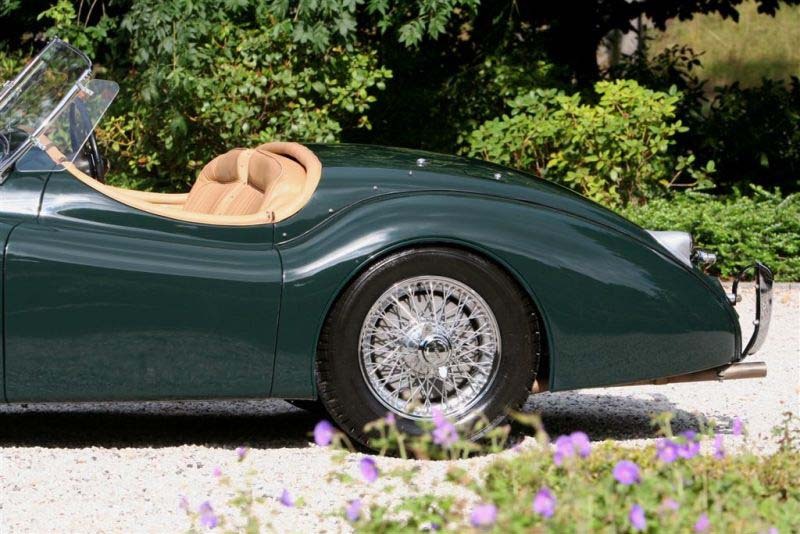 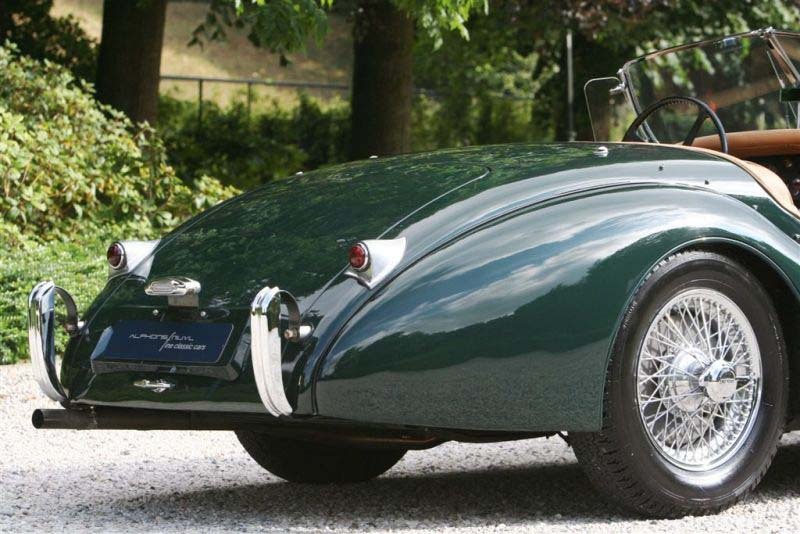 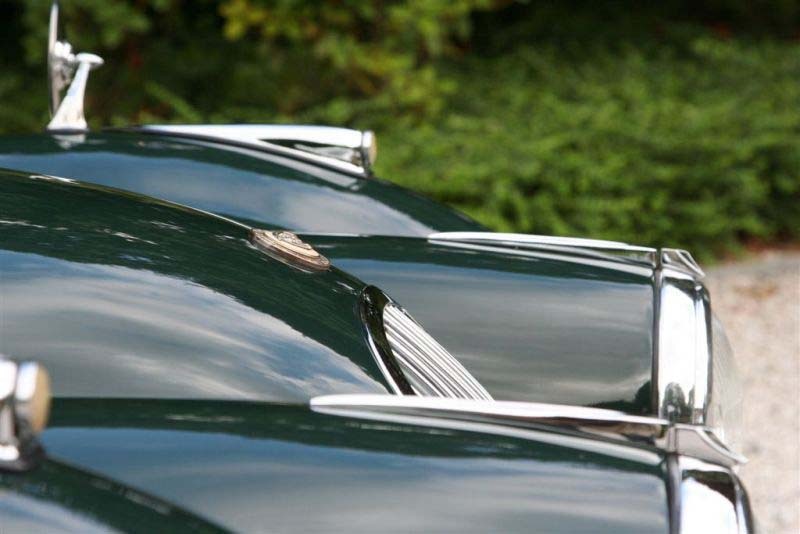 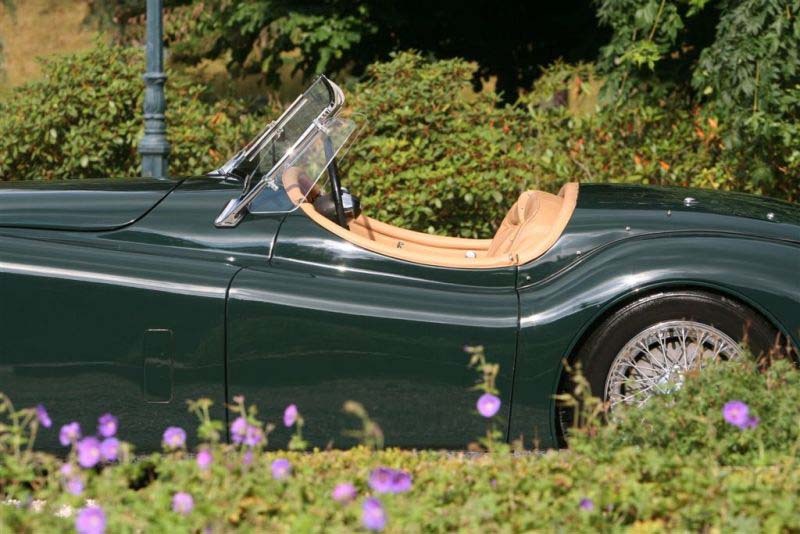 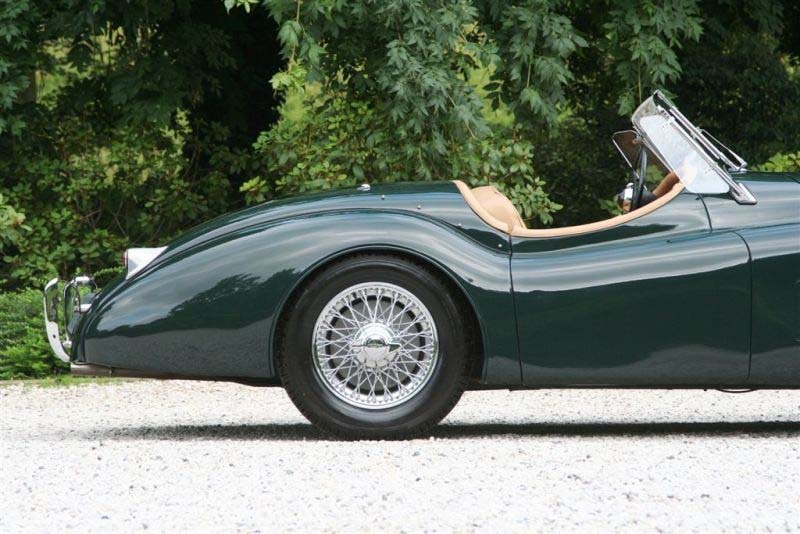 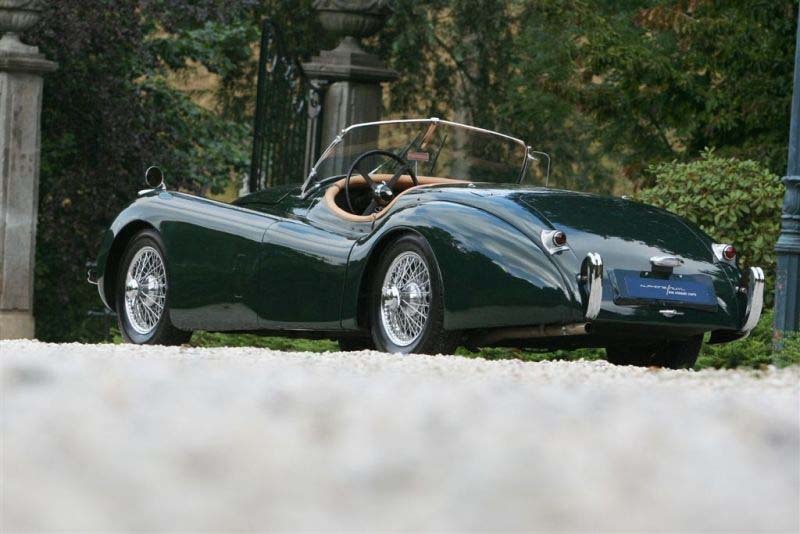 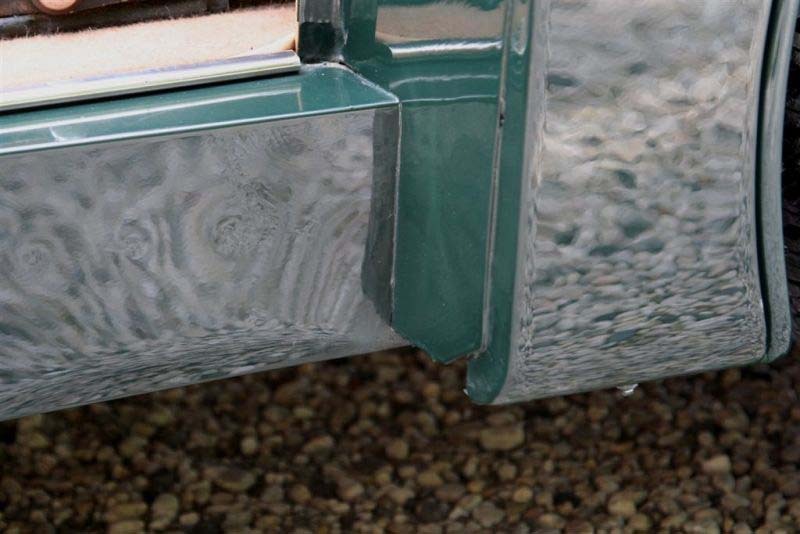 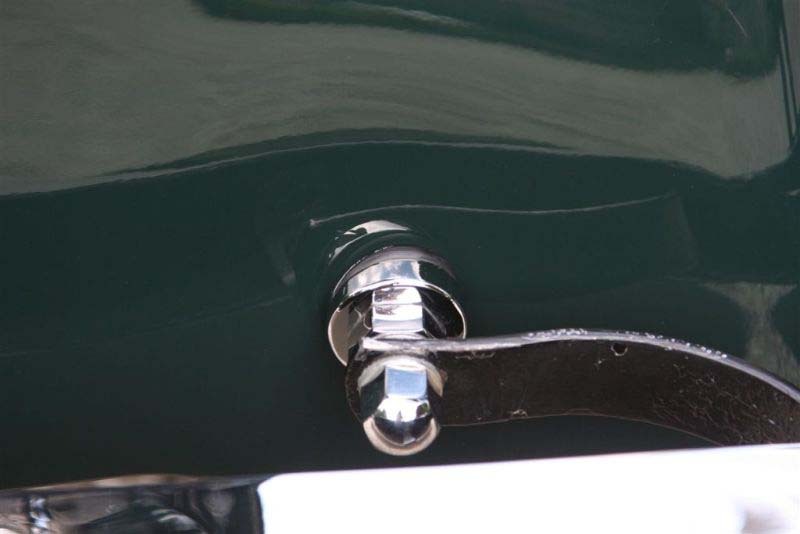 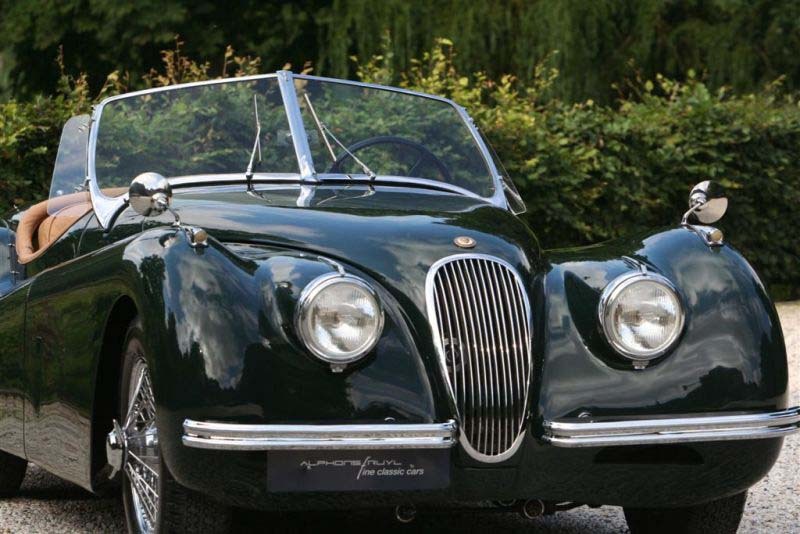 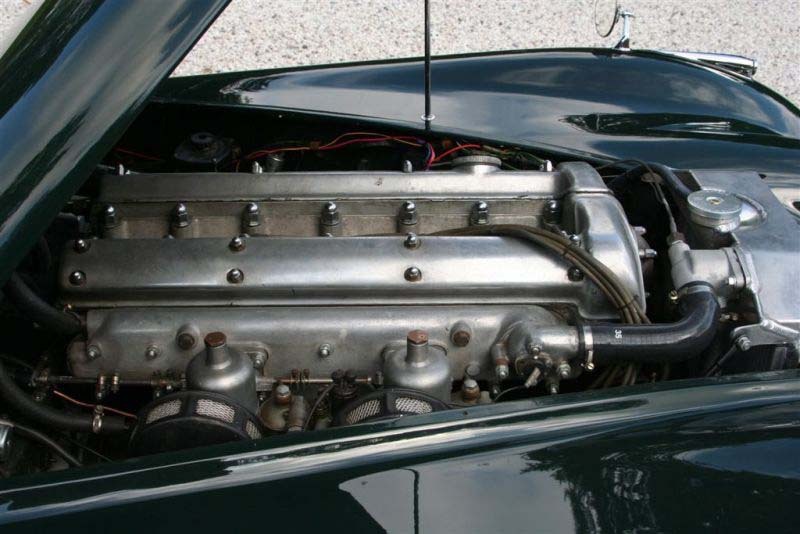 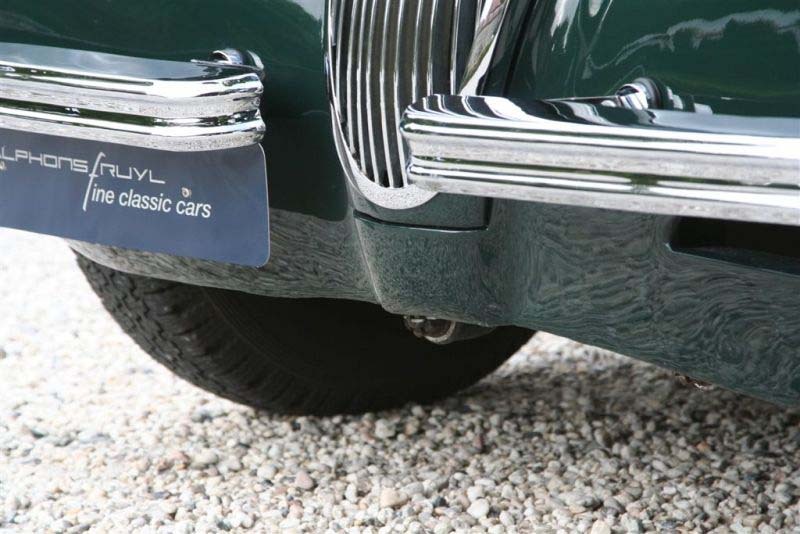 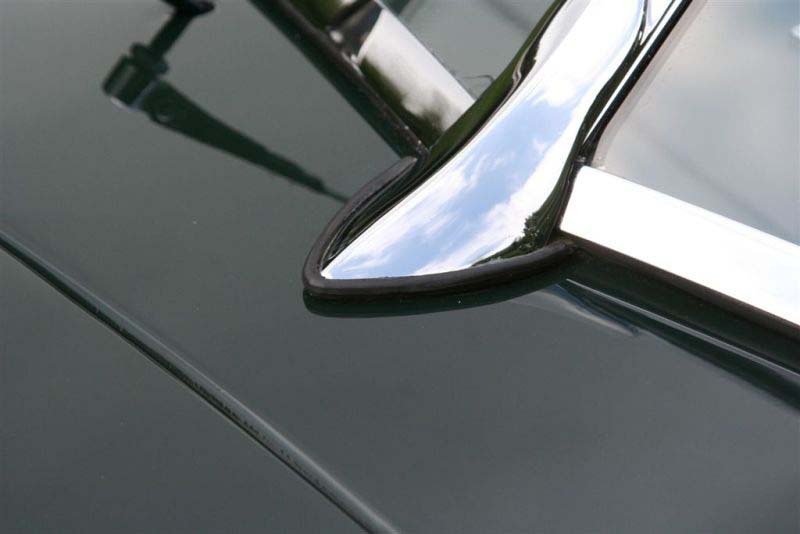 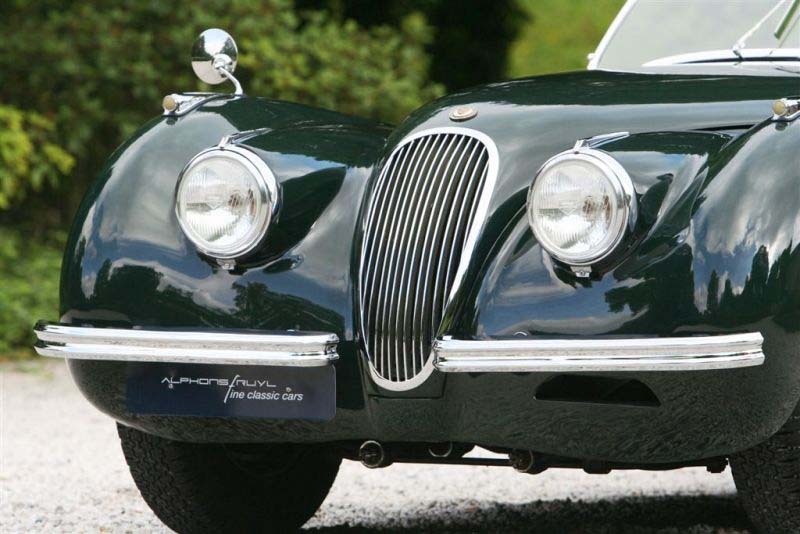 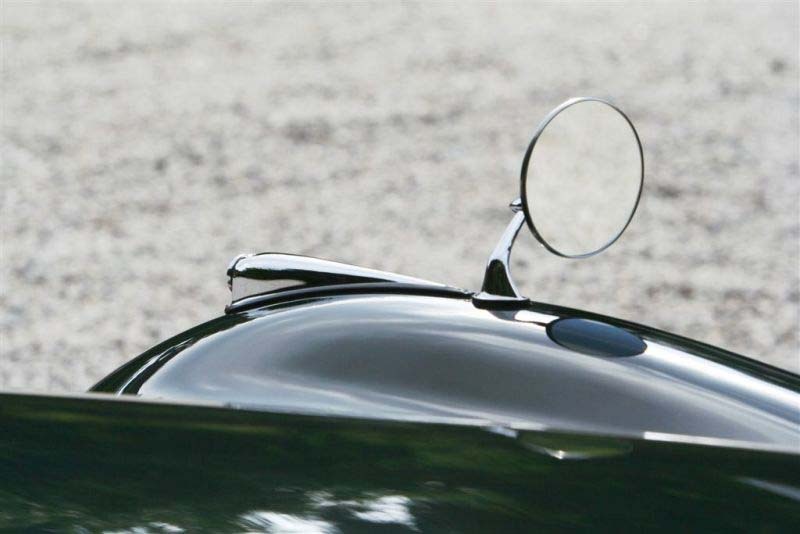 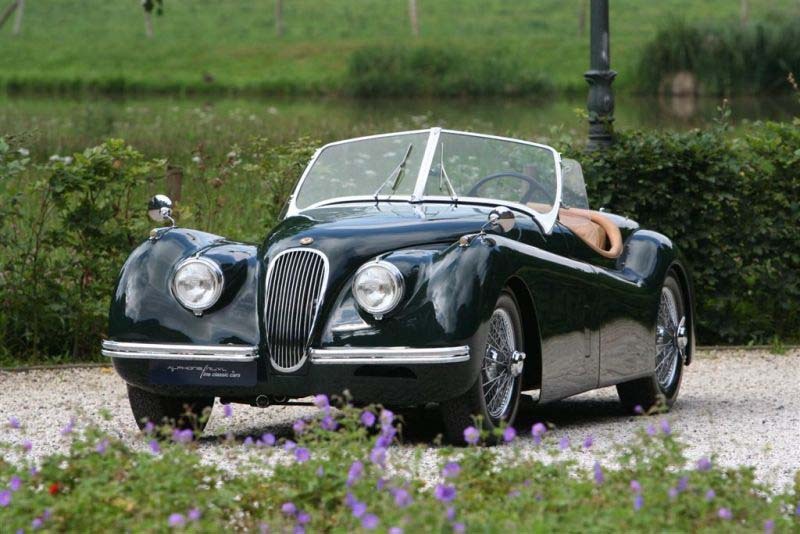 Jaguar XK 120 OTS from 1950 in British Racing Green with leather interior and soft top. 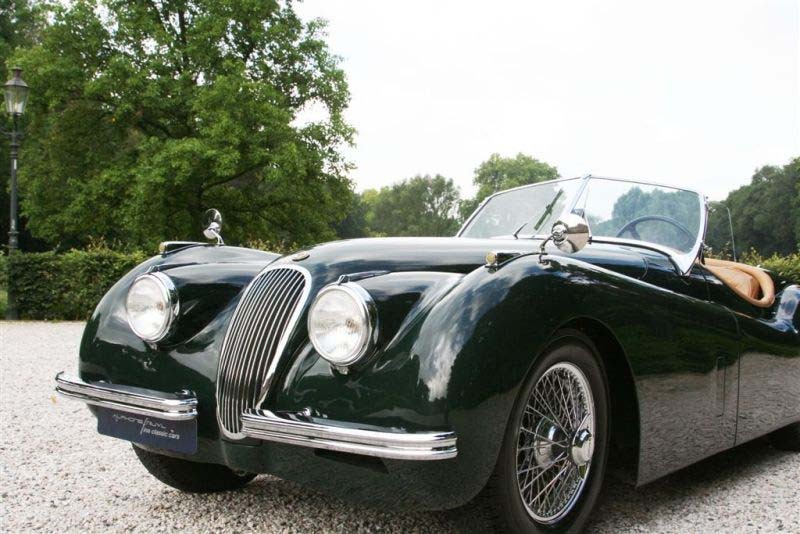 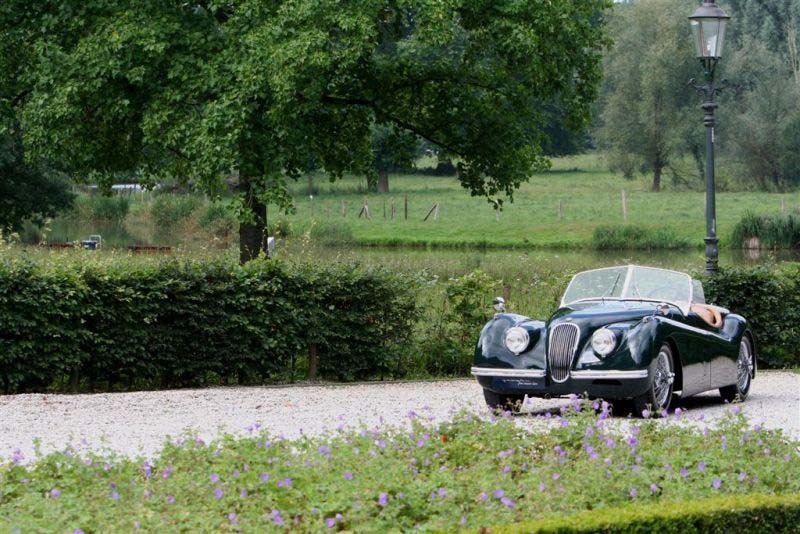 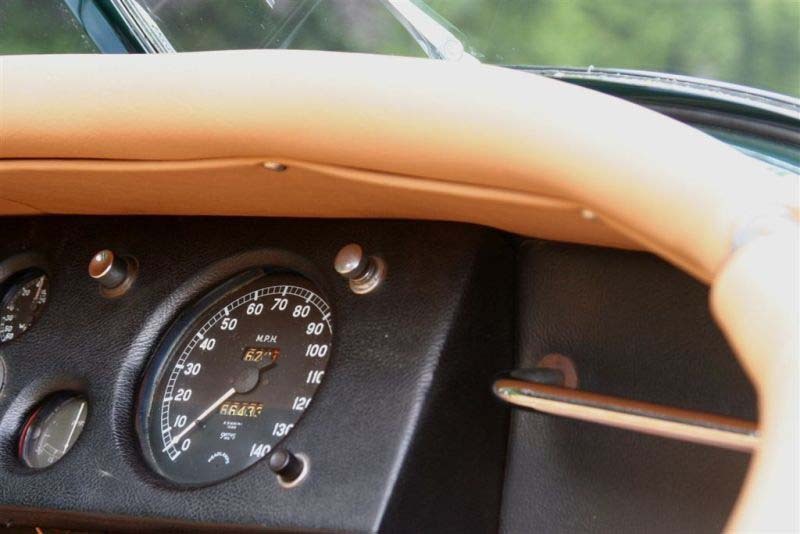 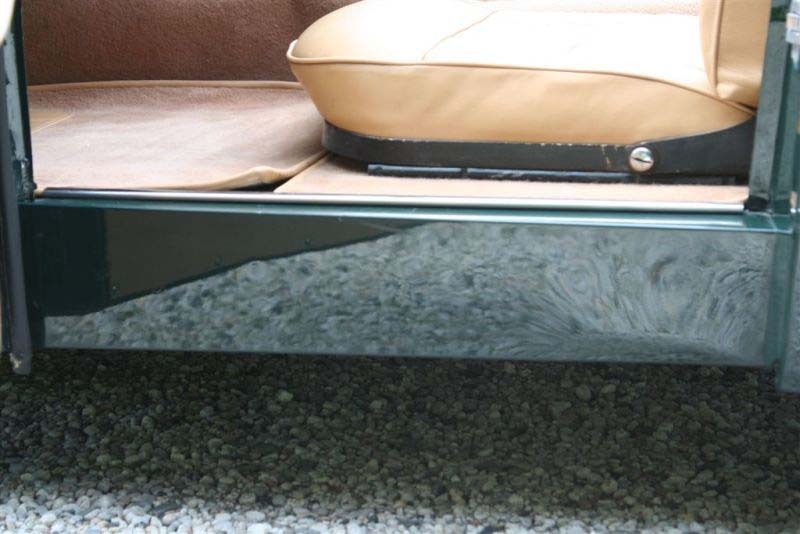 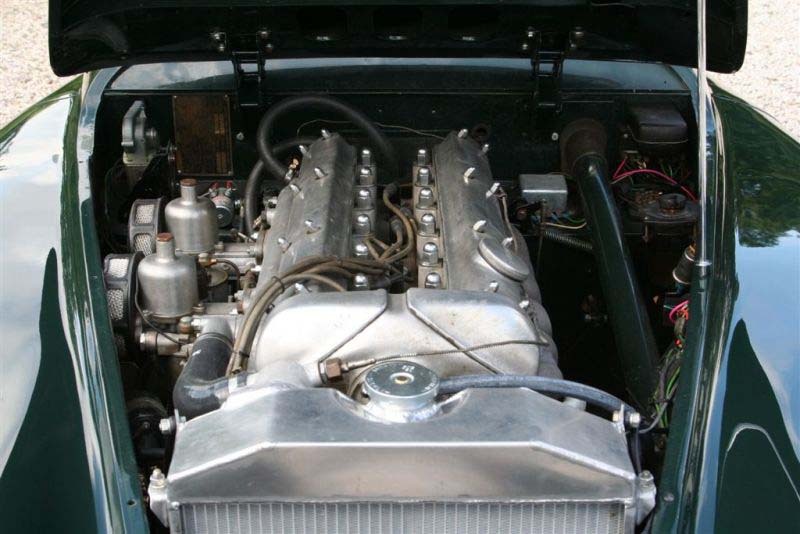 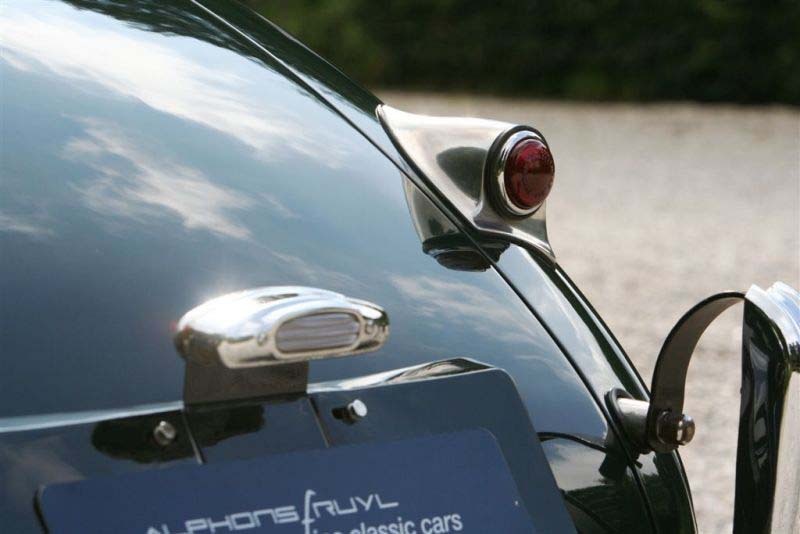 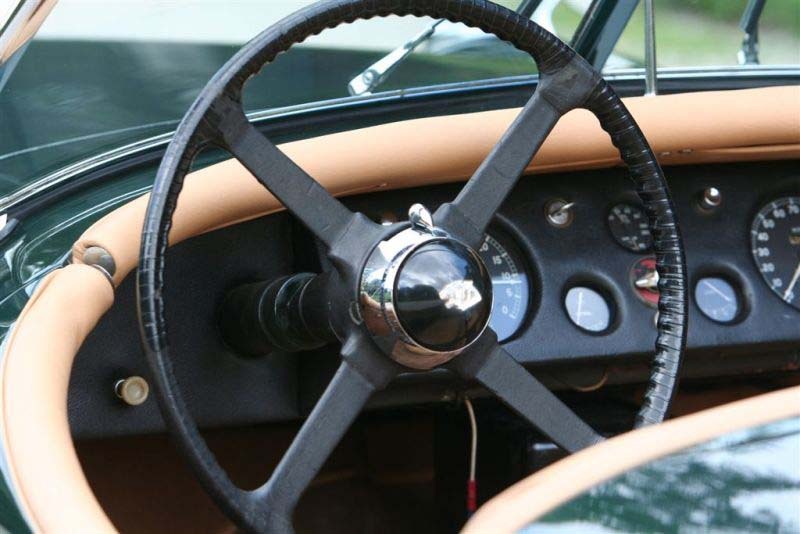 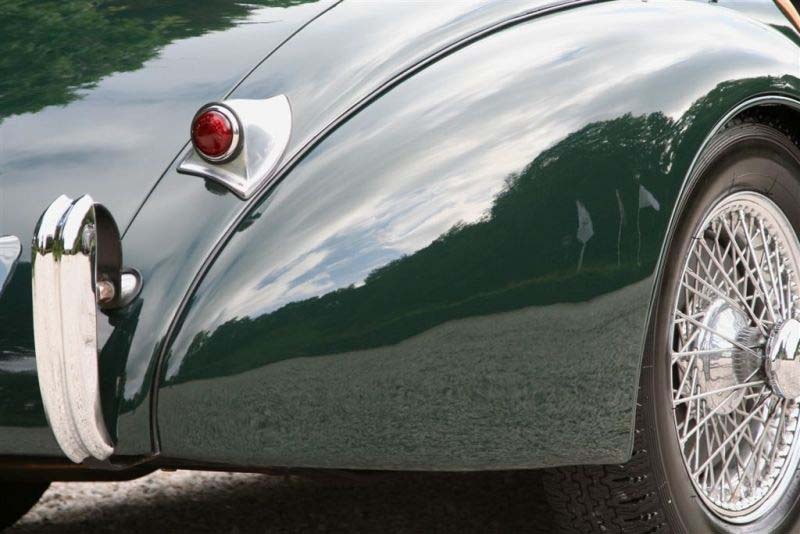 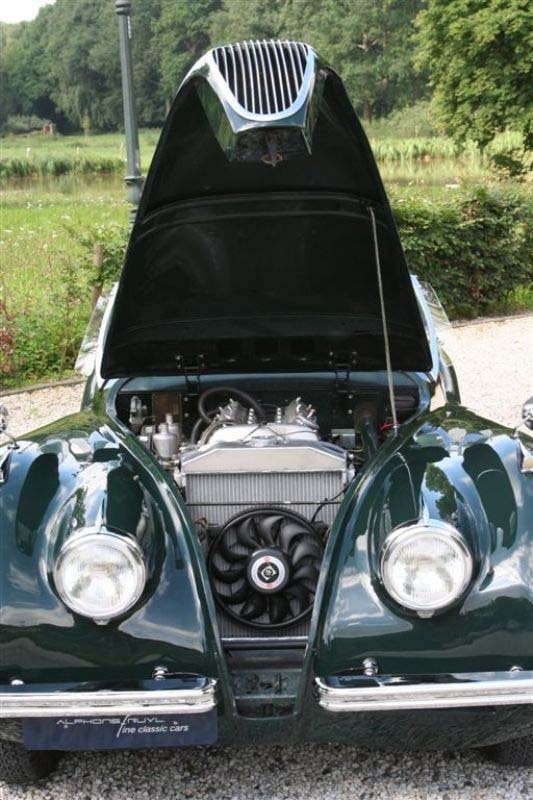 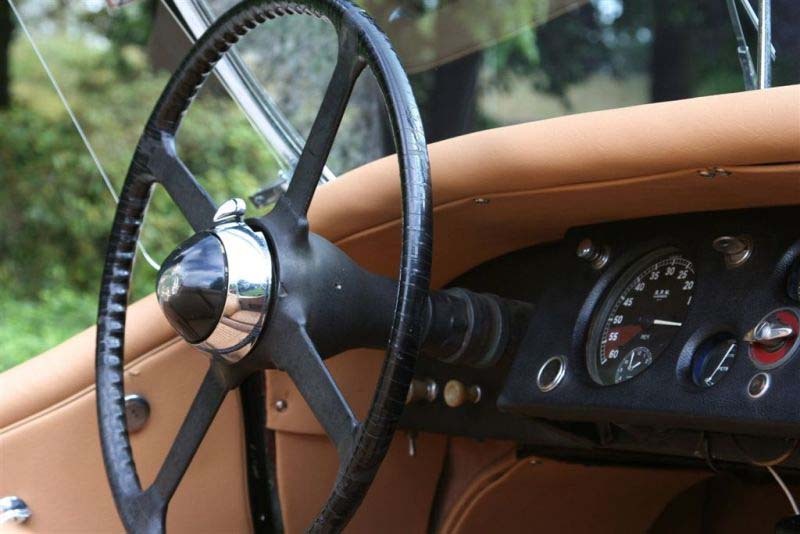 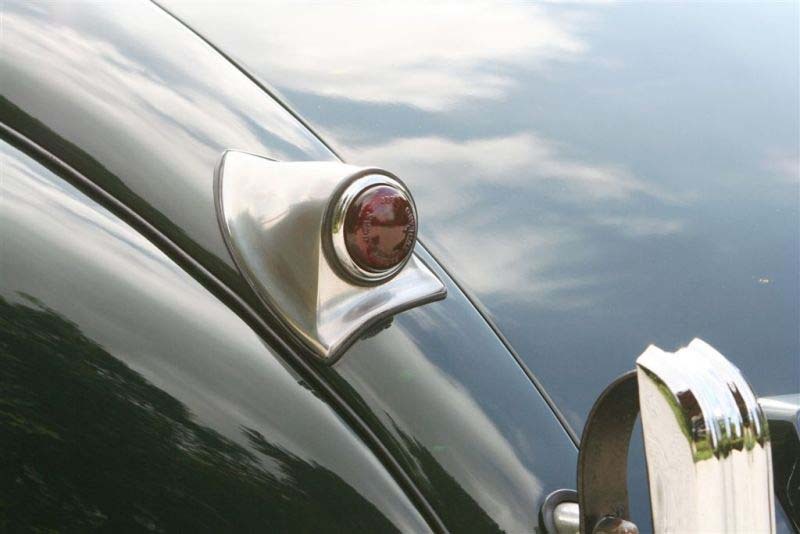 This beautiful XK 120 was fully restored a few years ago, engine overhauled last year at a renowned restoration company ( invoices available) and only driven 1000 miles after overhaul. 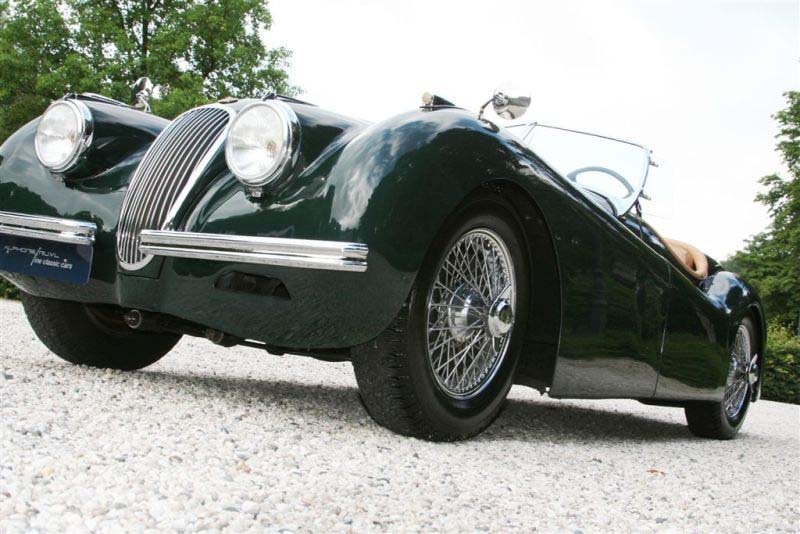 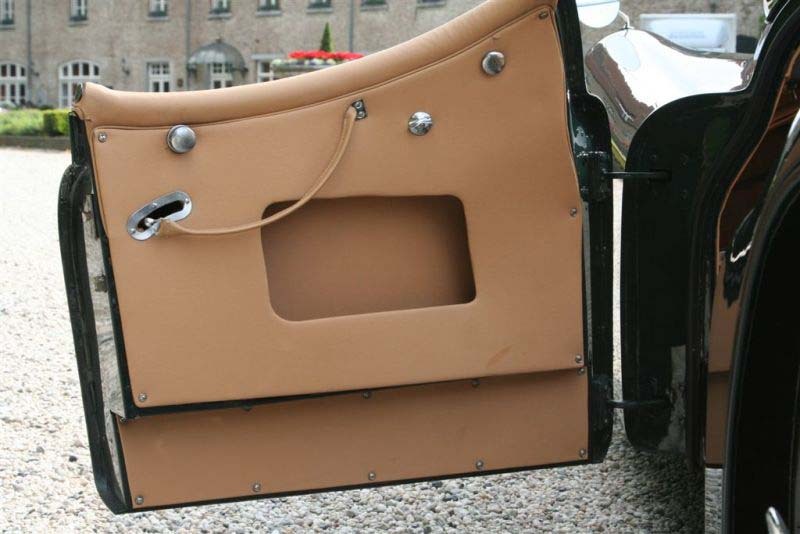 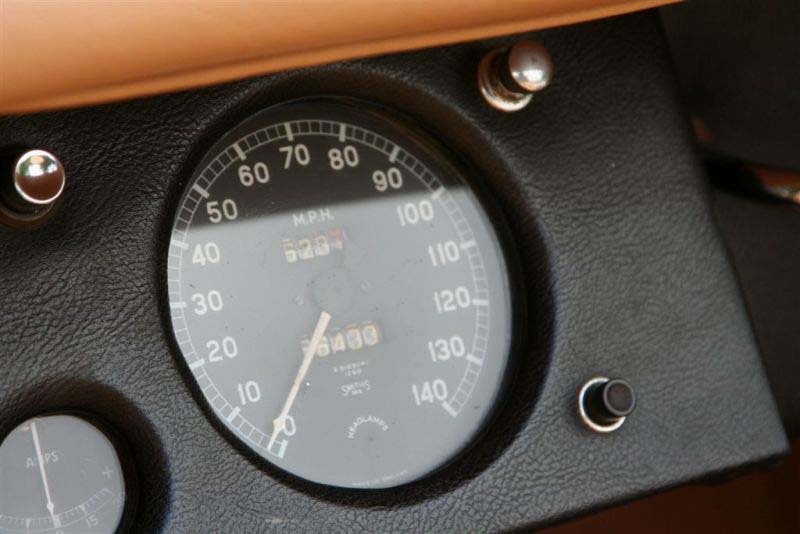 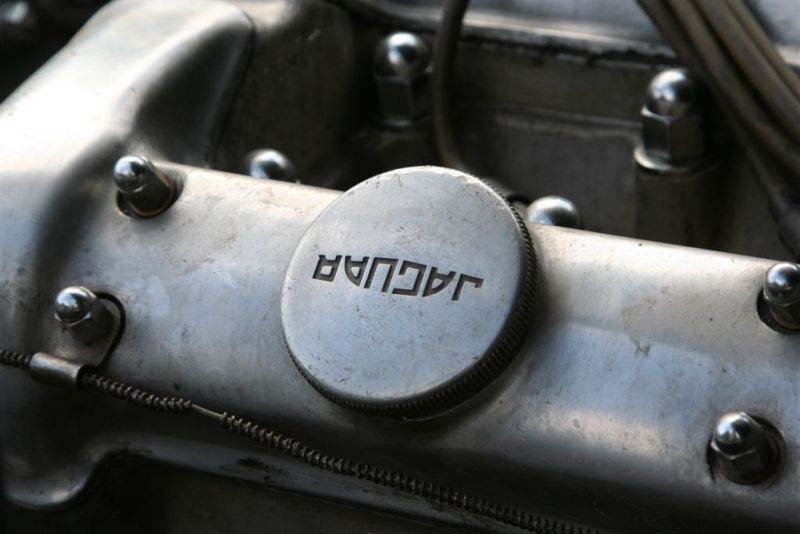 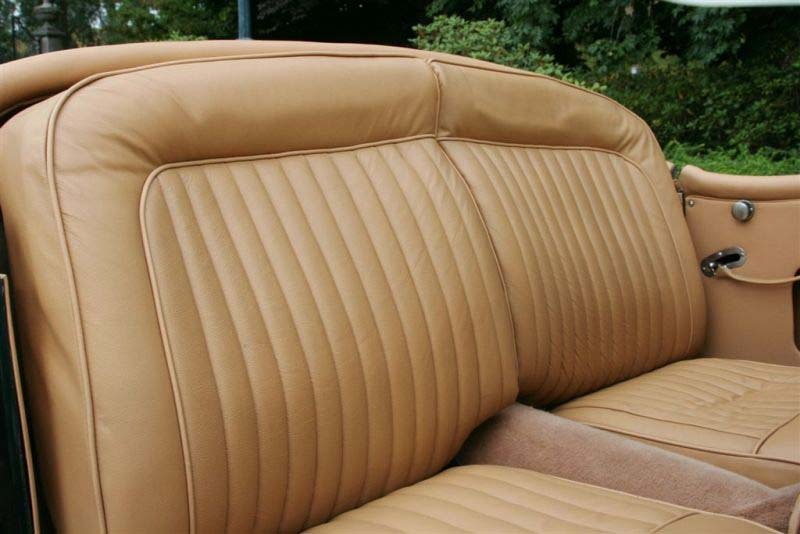 Despite his older restoration still in perfect condition, matching numbers.